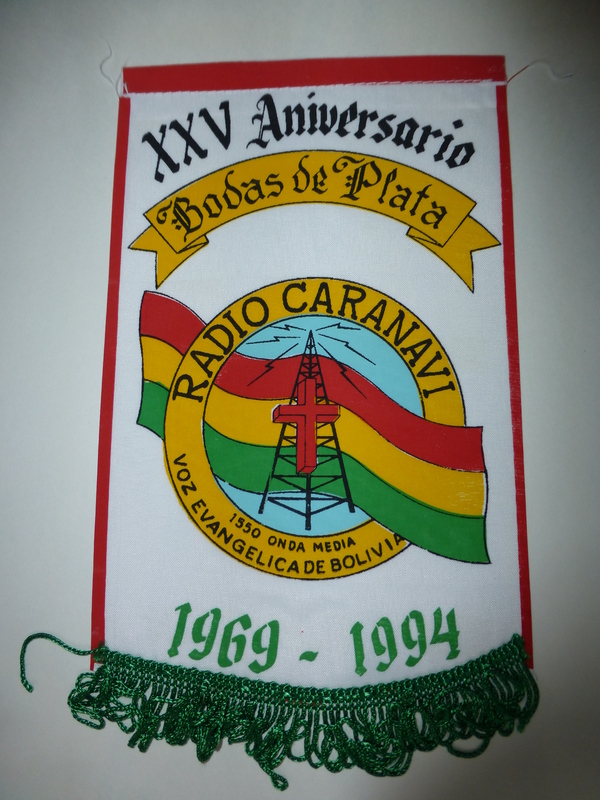 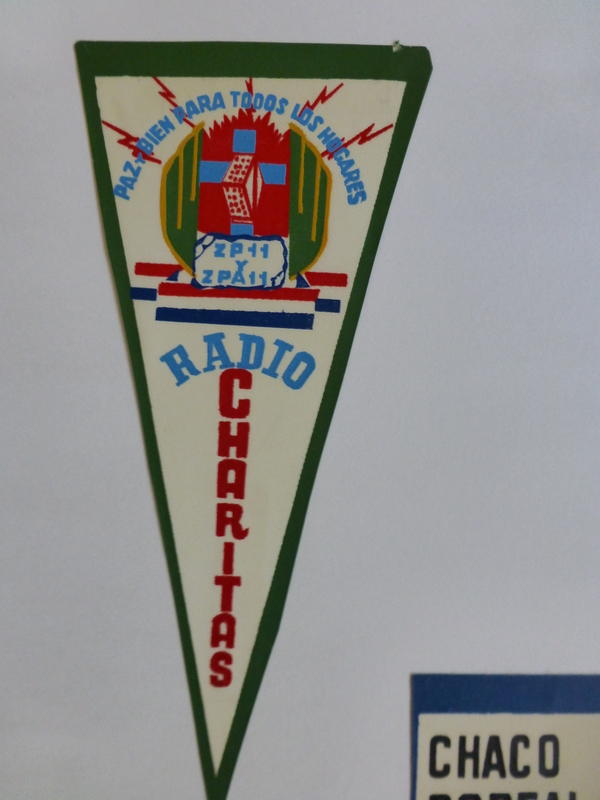 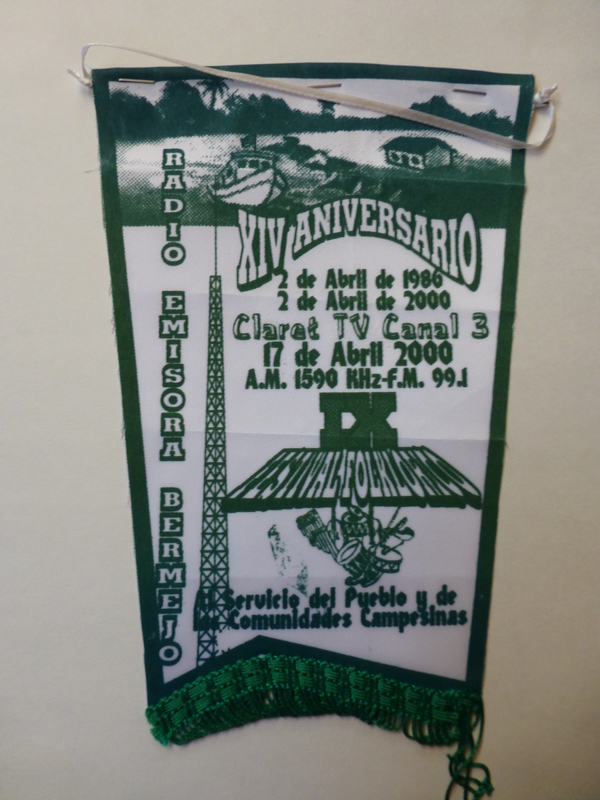 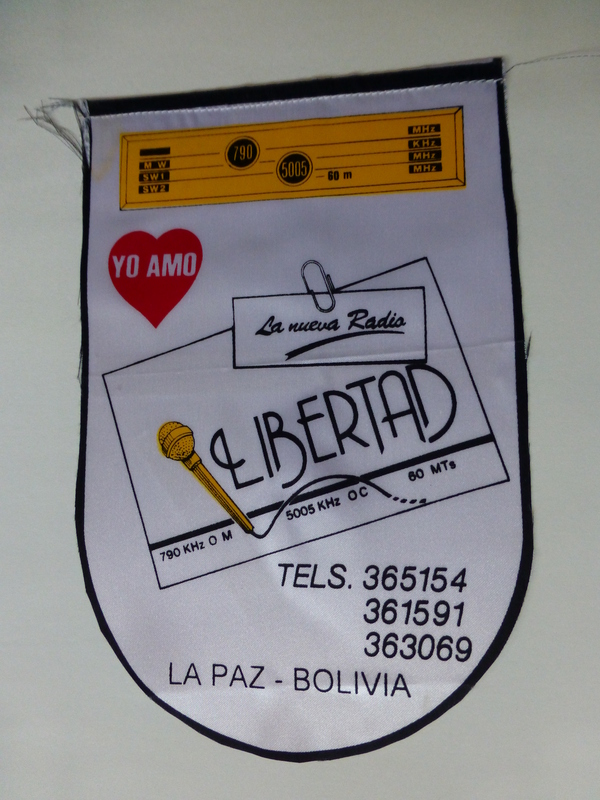 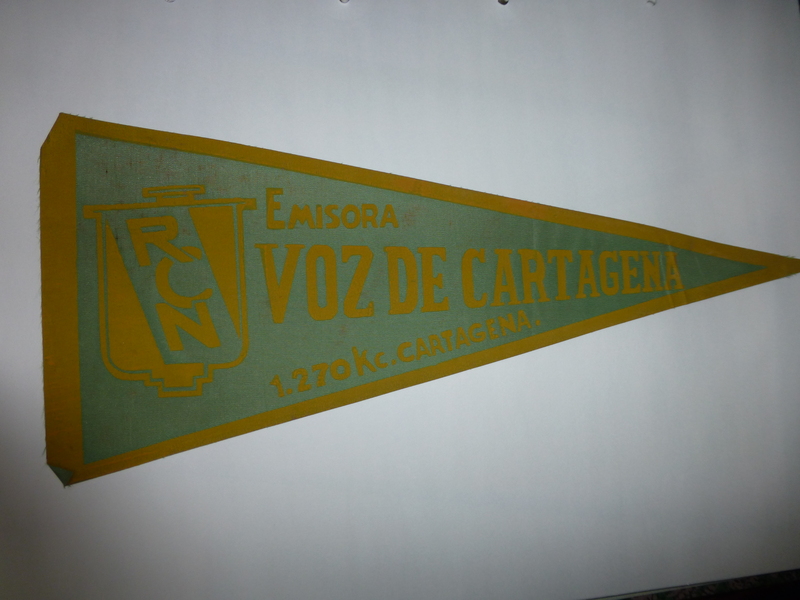 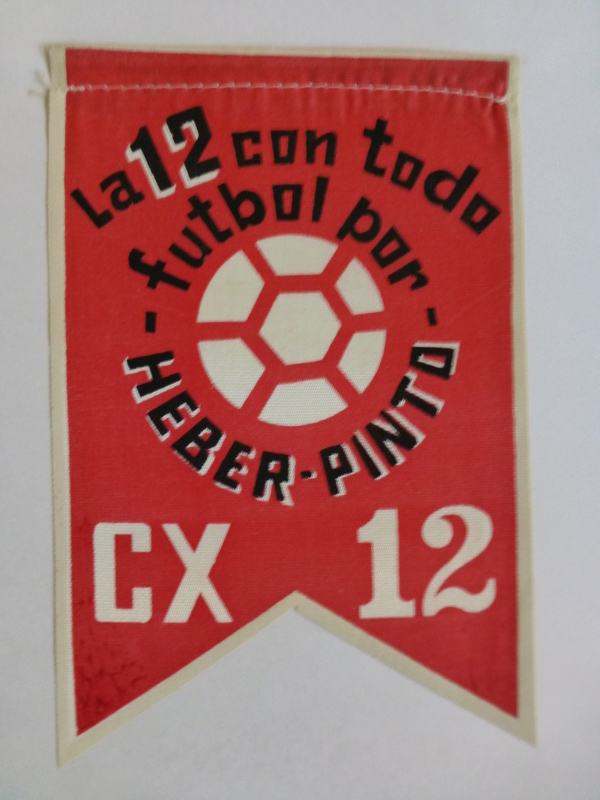 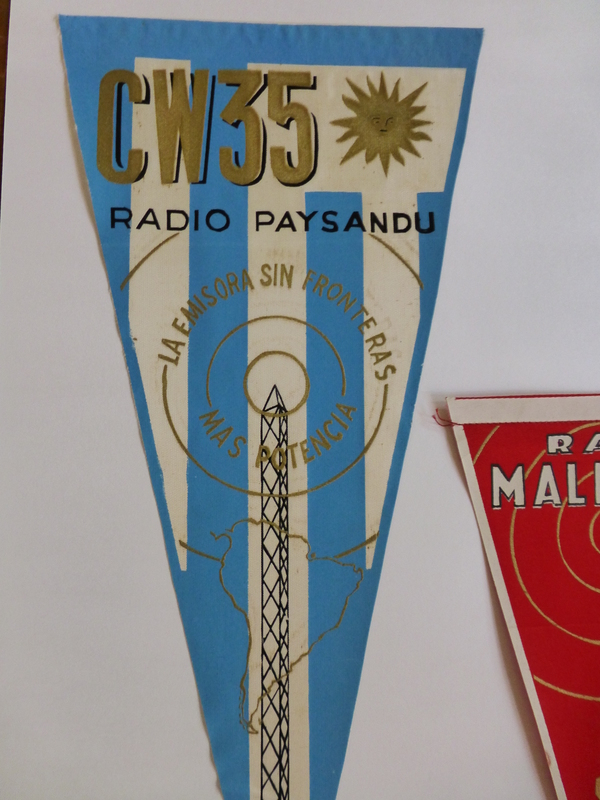 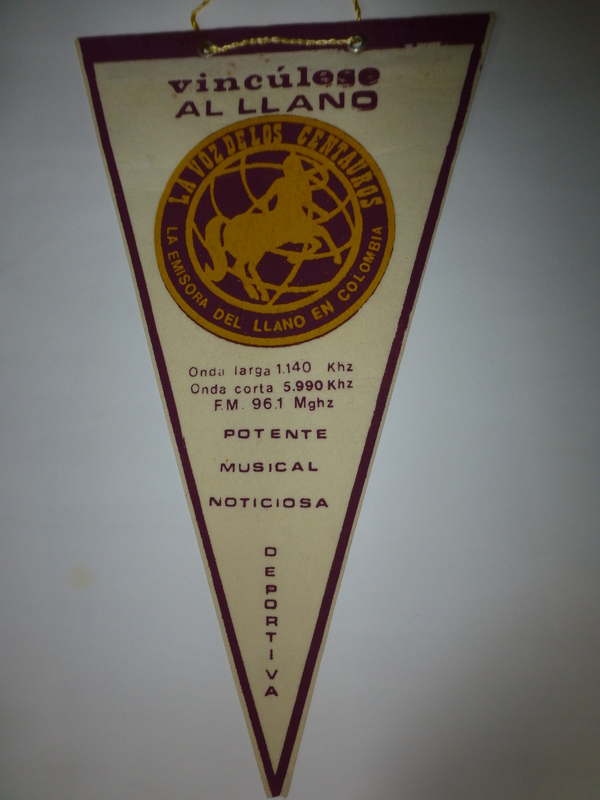 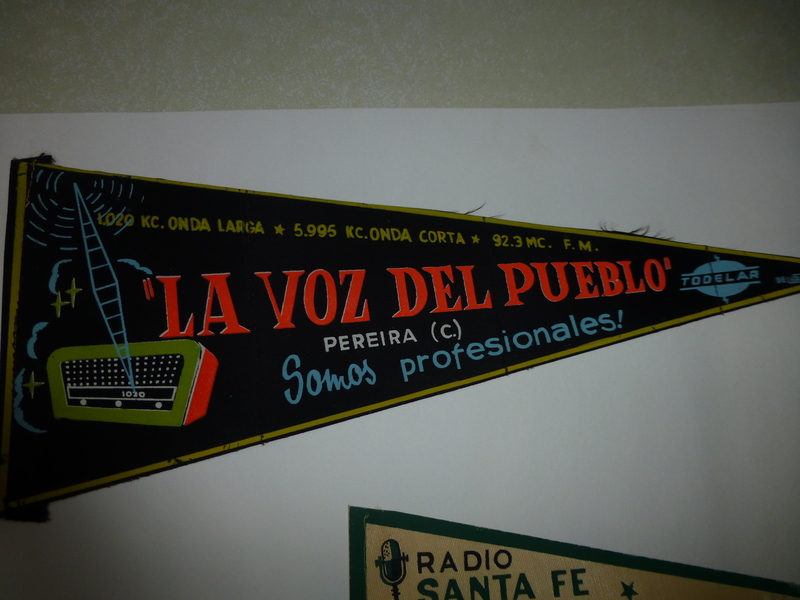 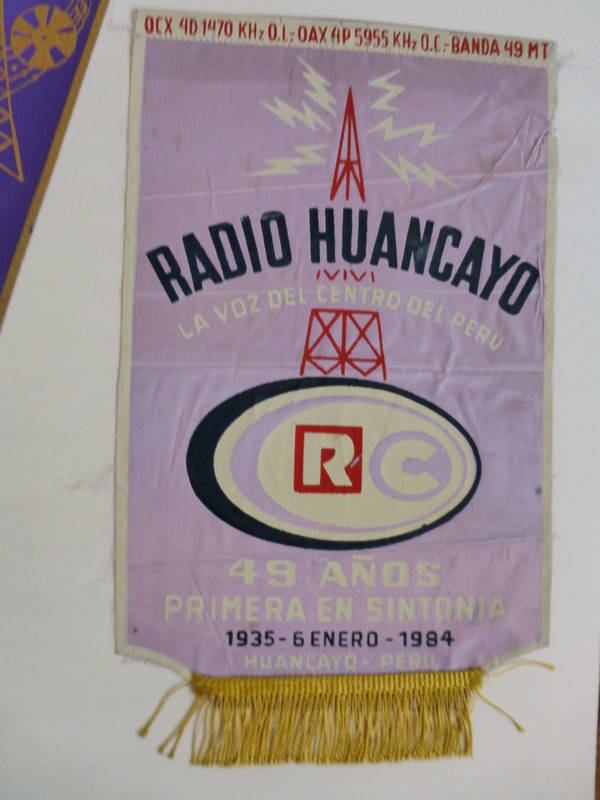 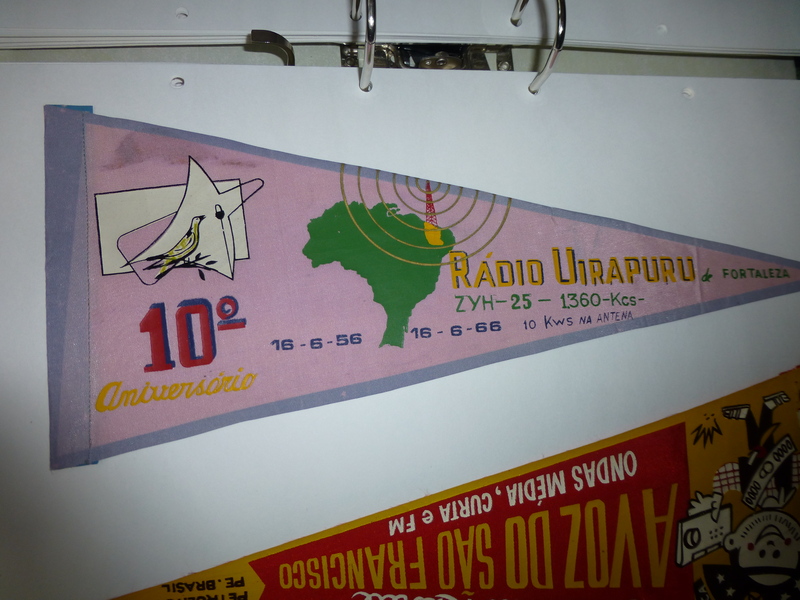 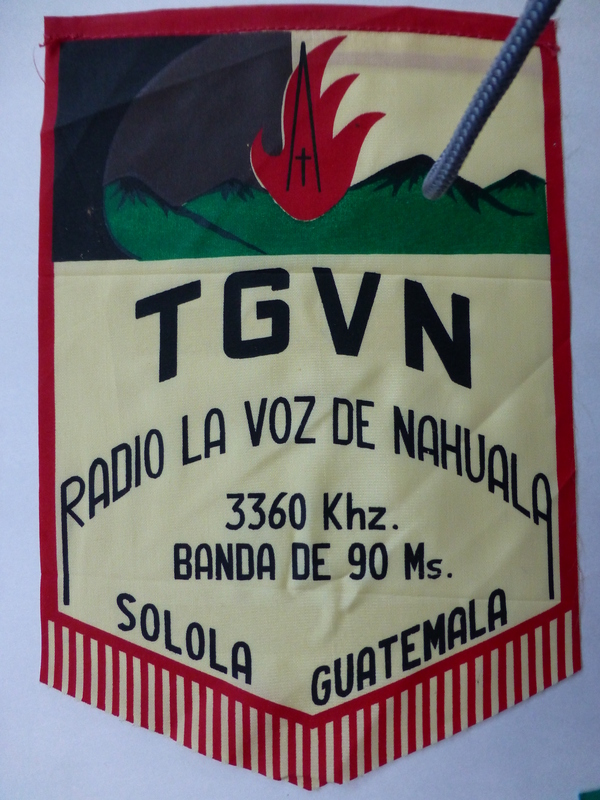 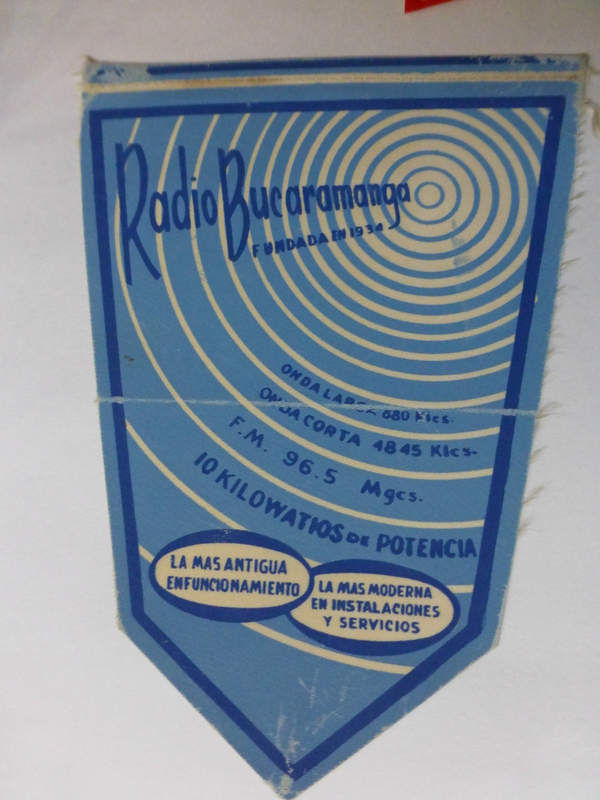 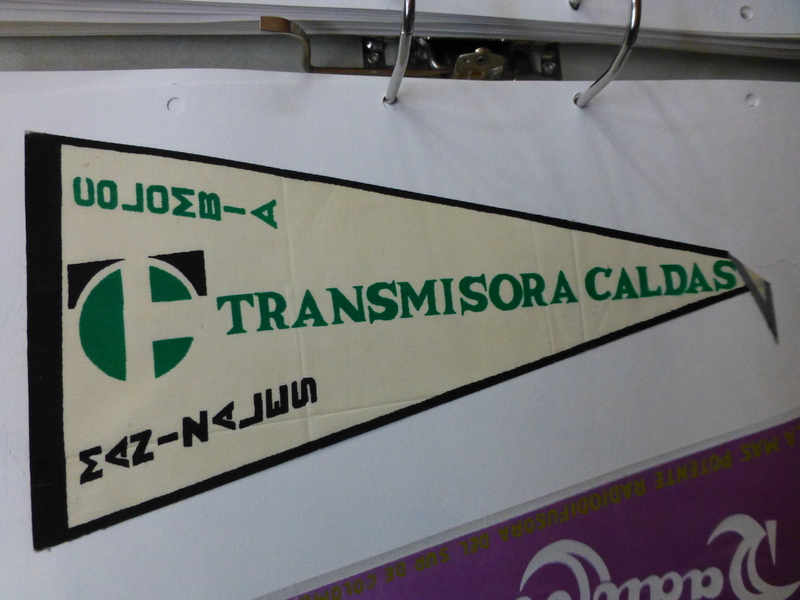 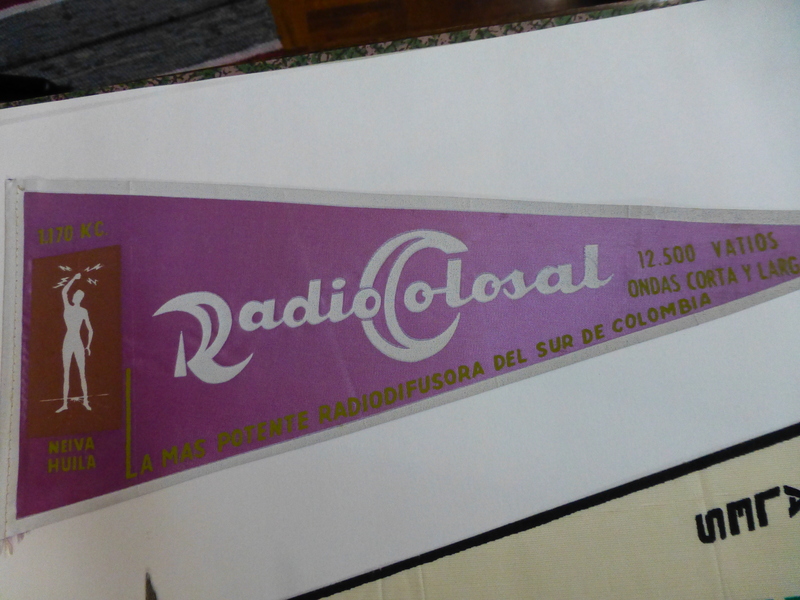 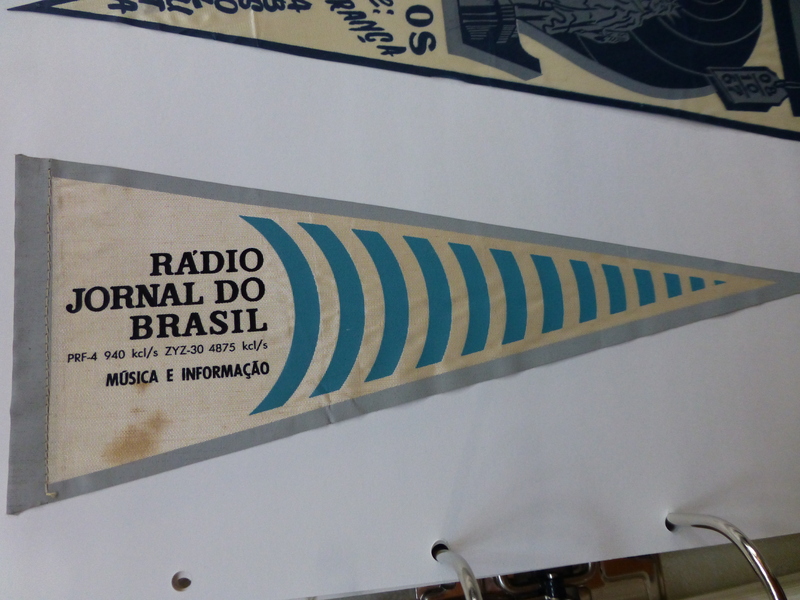 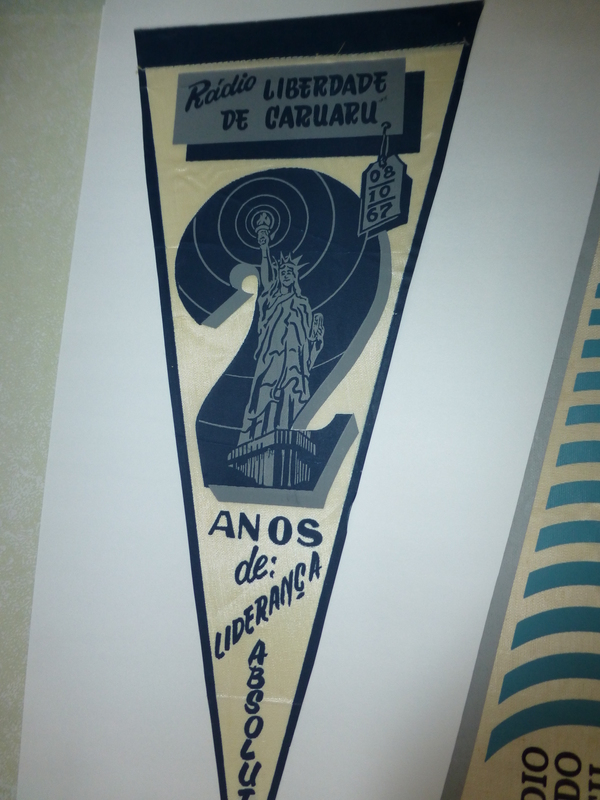 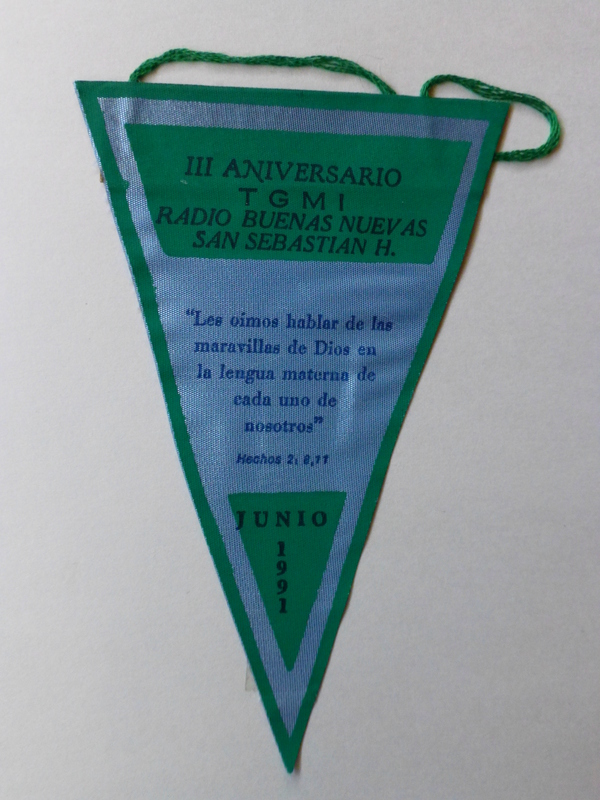 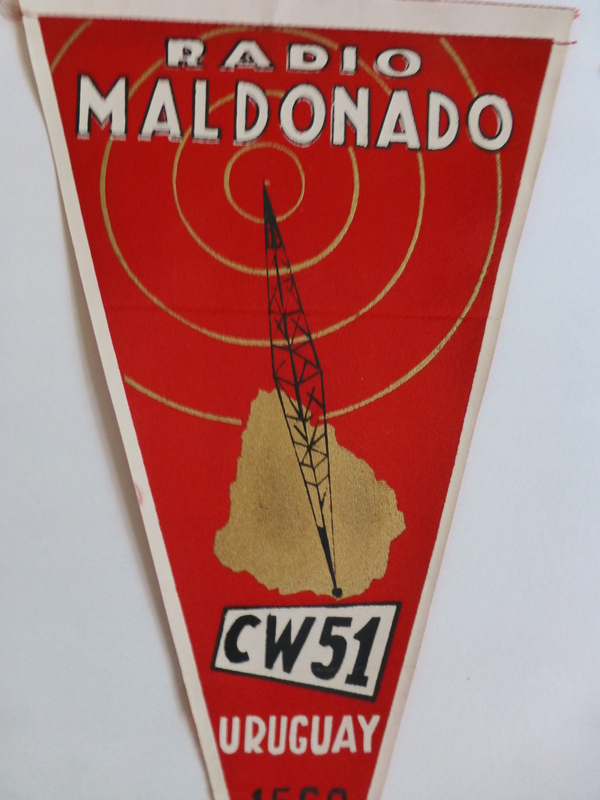 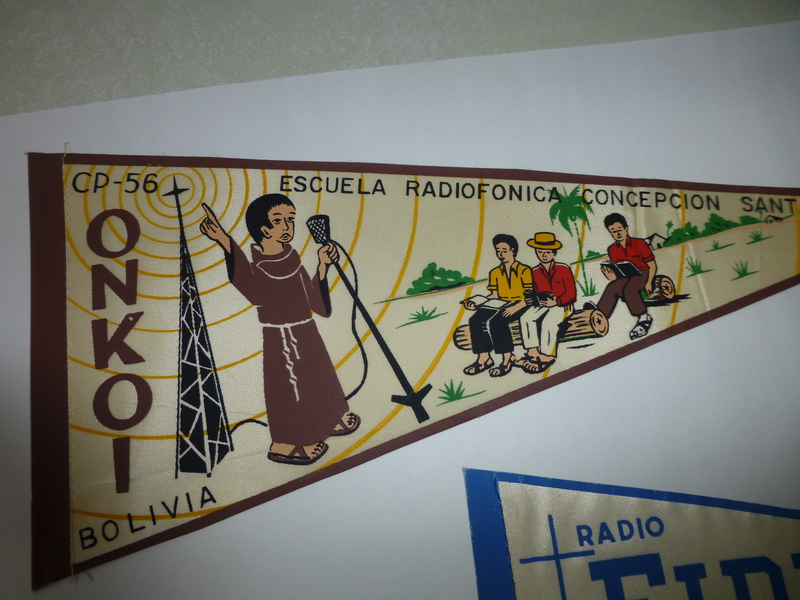 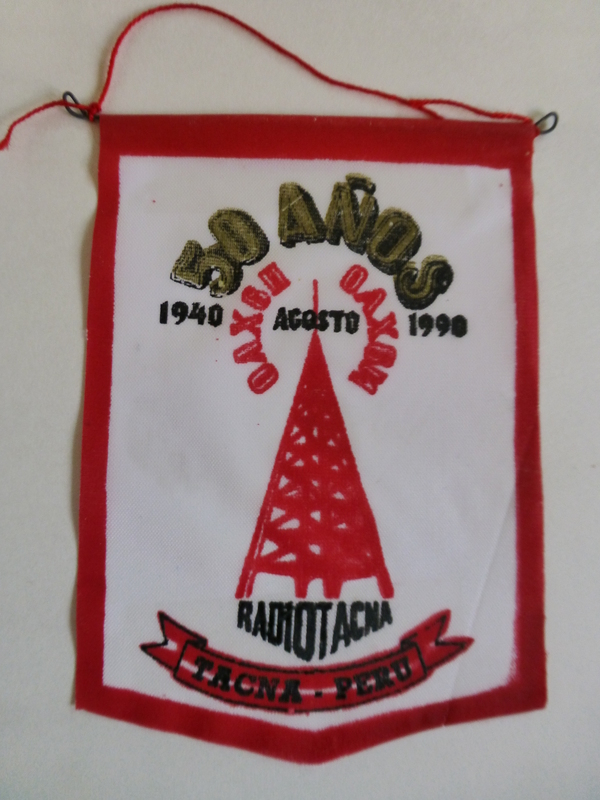 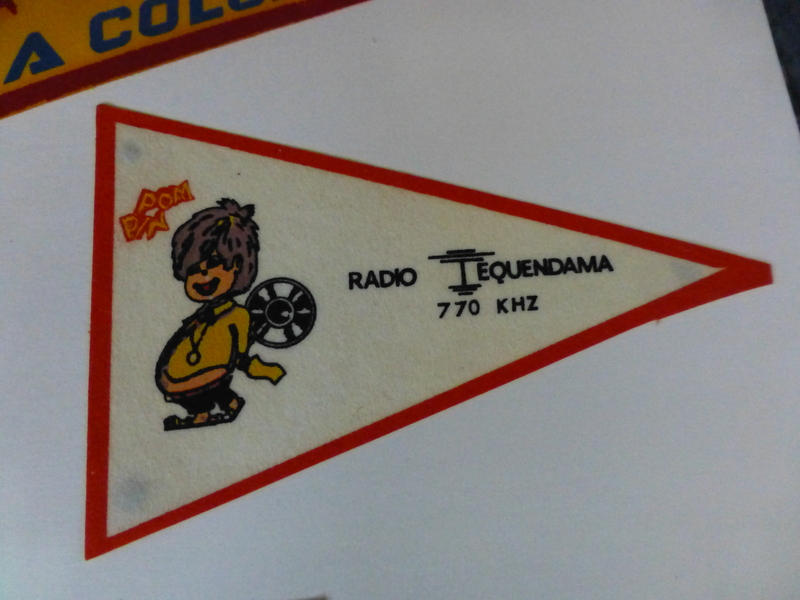 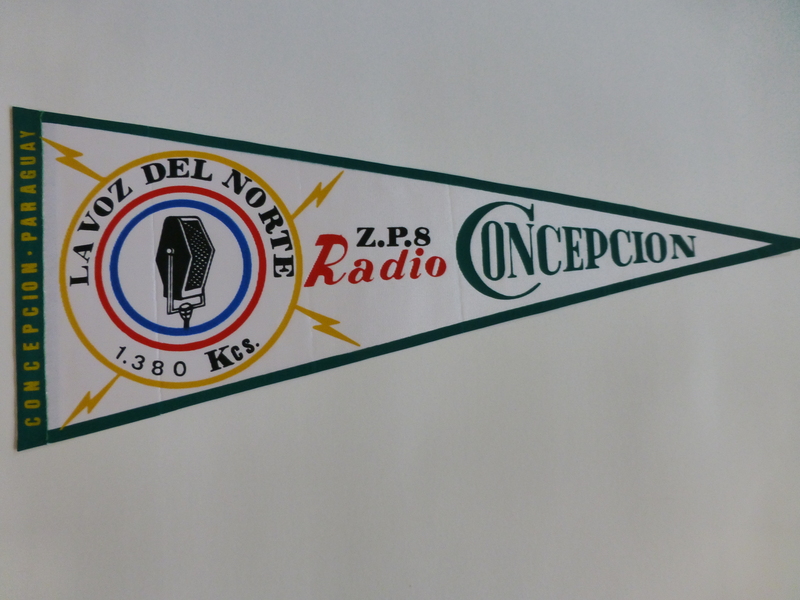 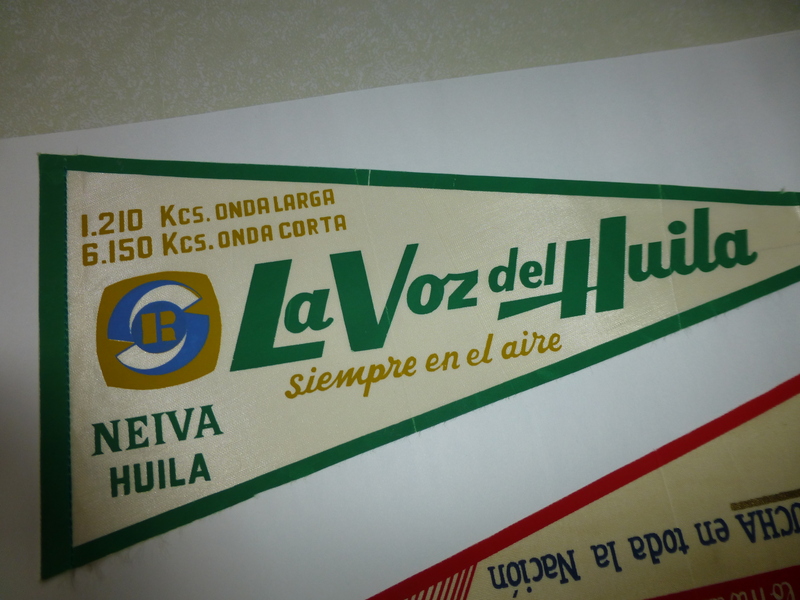 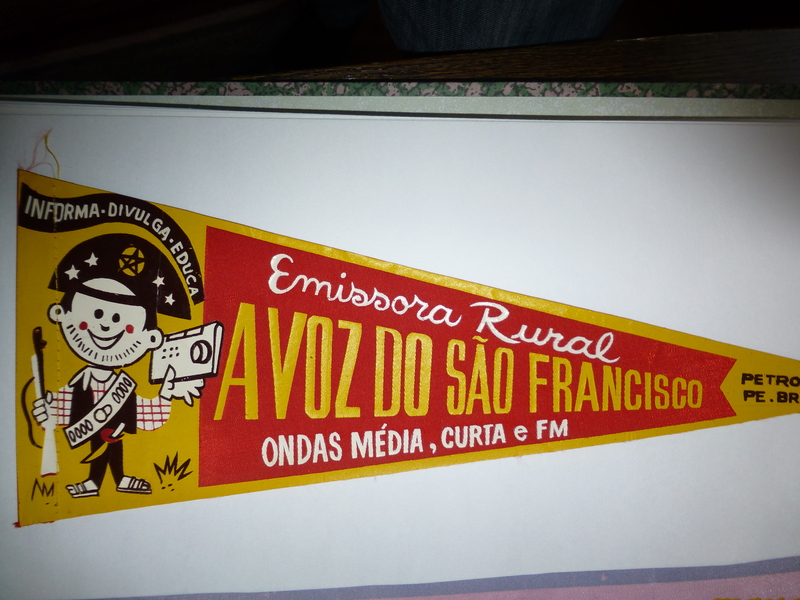 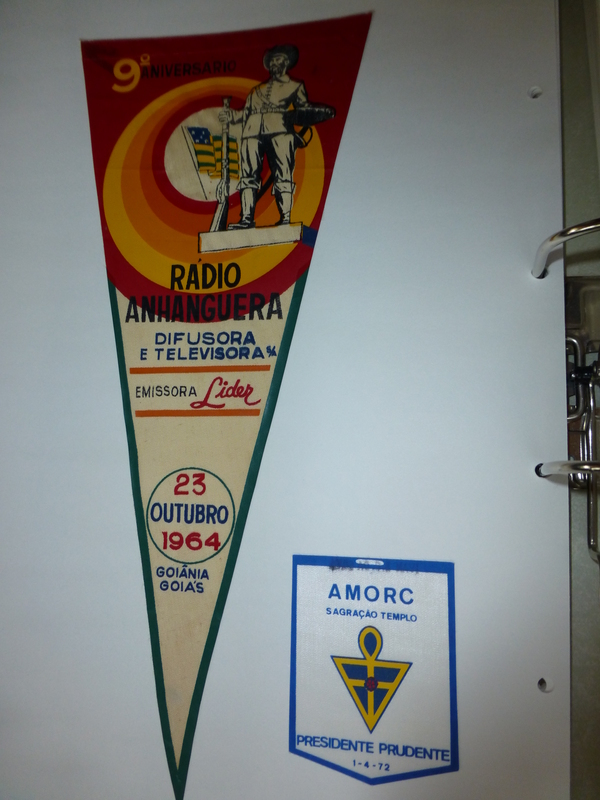 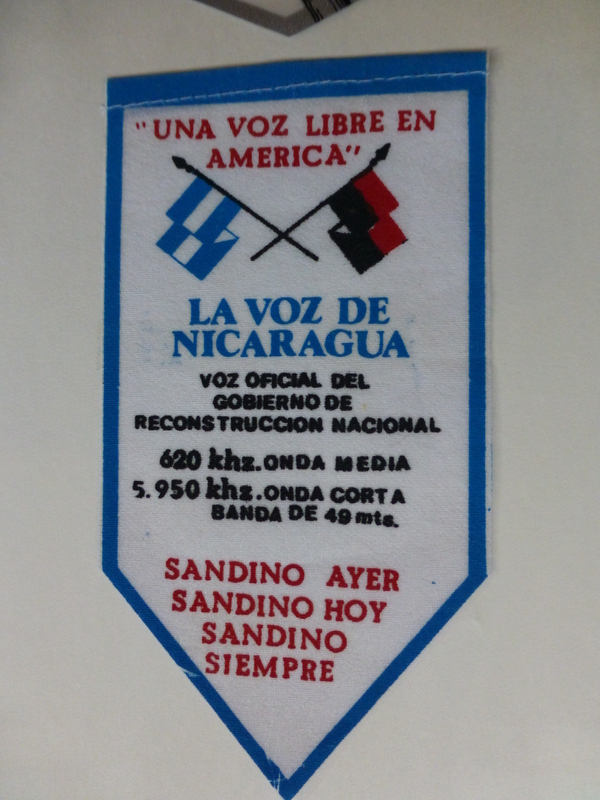 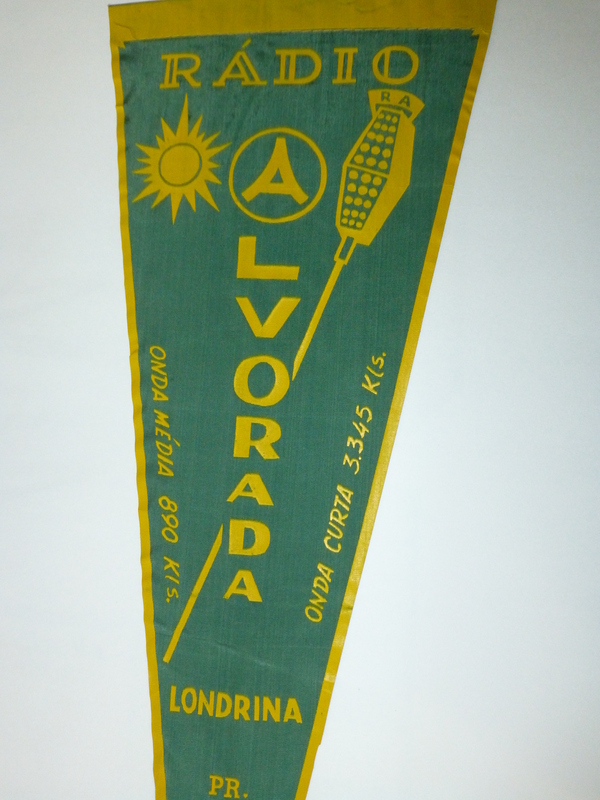 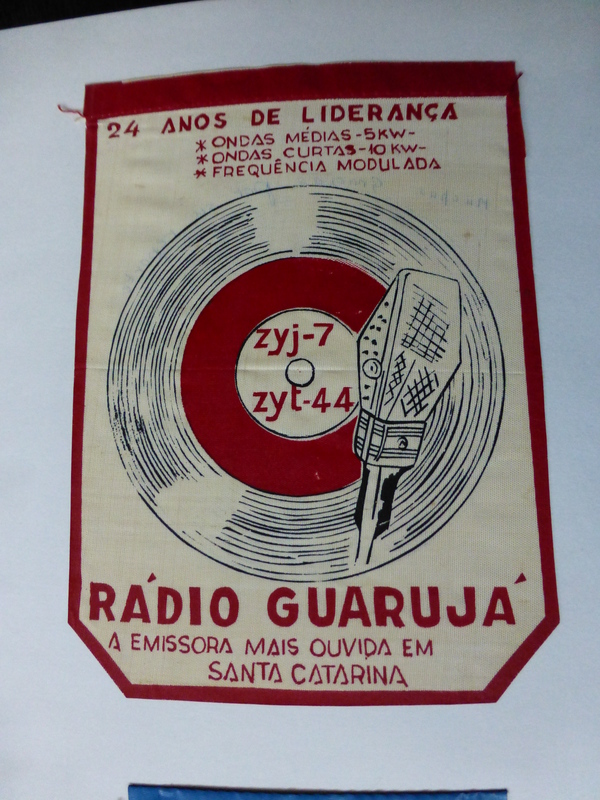 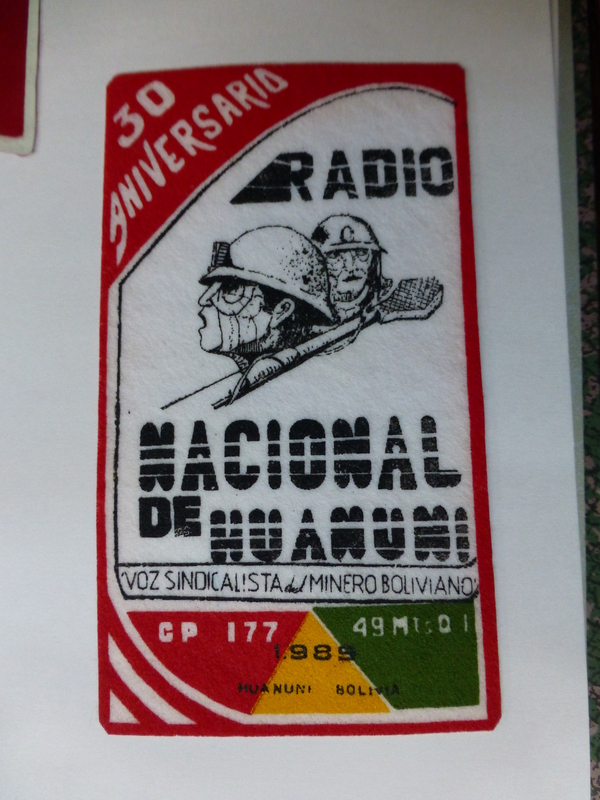 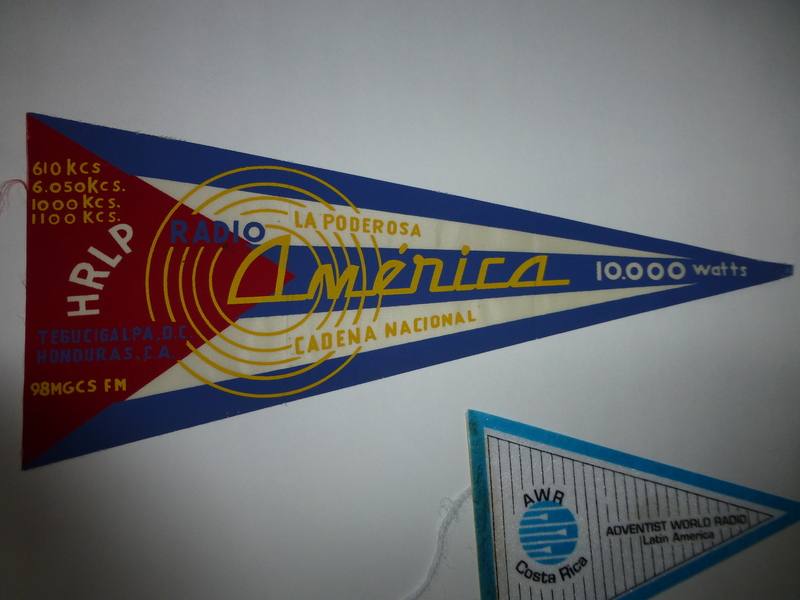 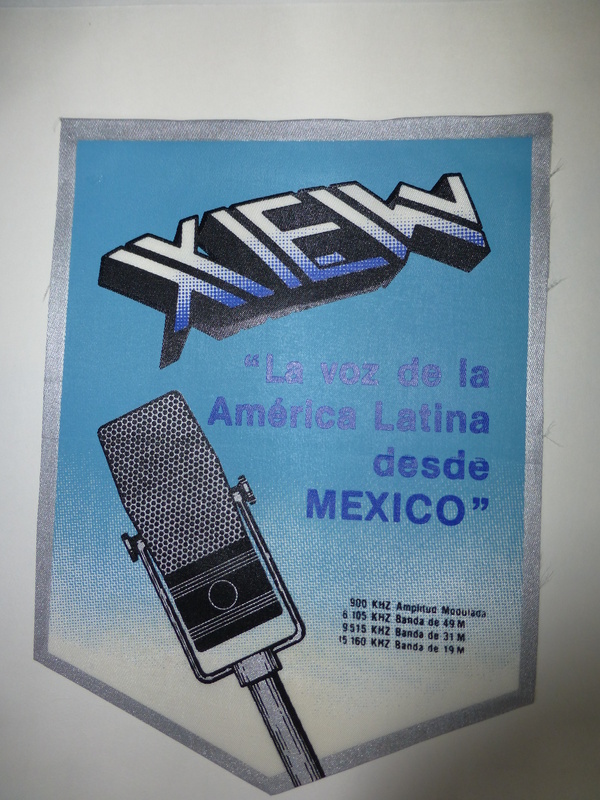 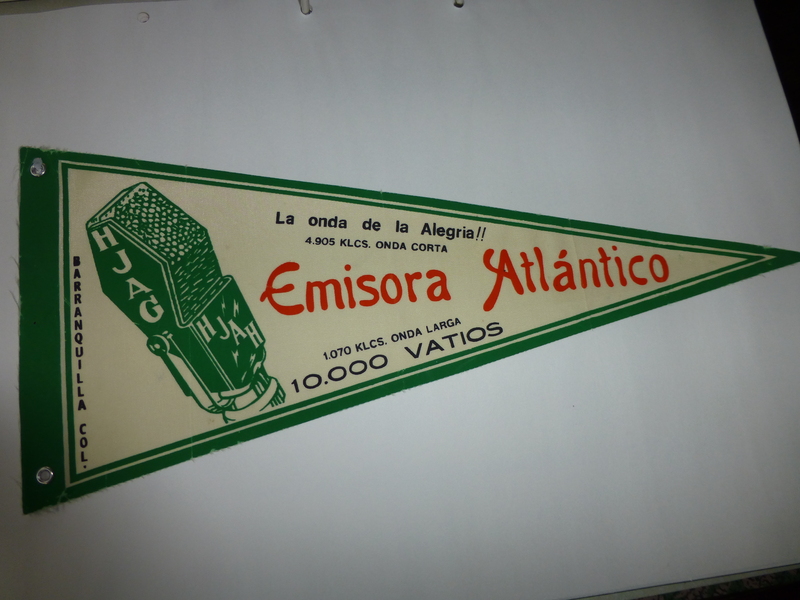 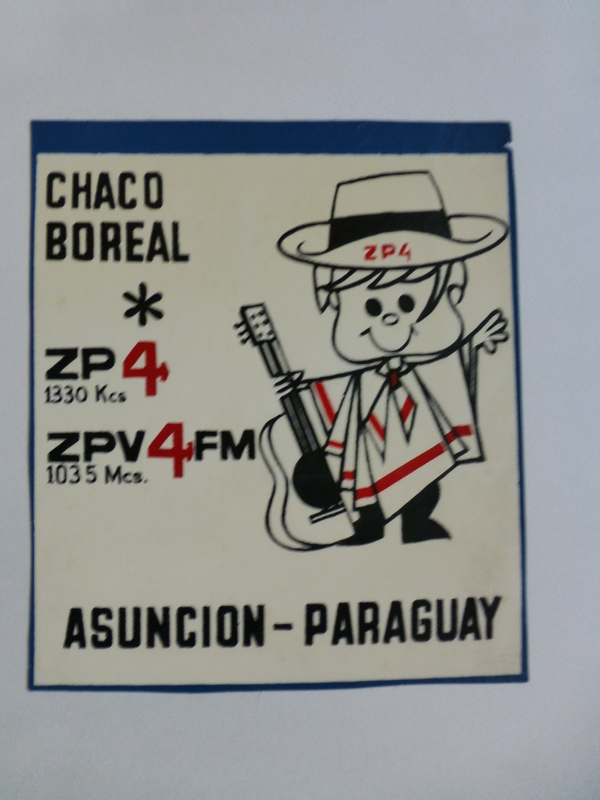 This is the last story about pennants from Latin American radio stations from my collection. 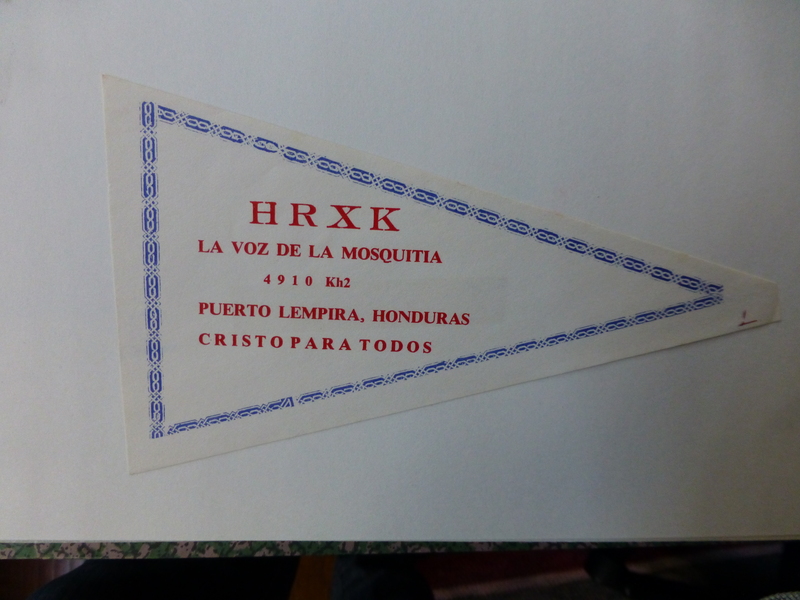 Hope you have enjoyed it although the quality of the pictures could have been more professional. 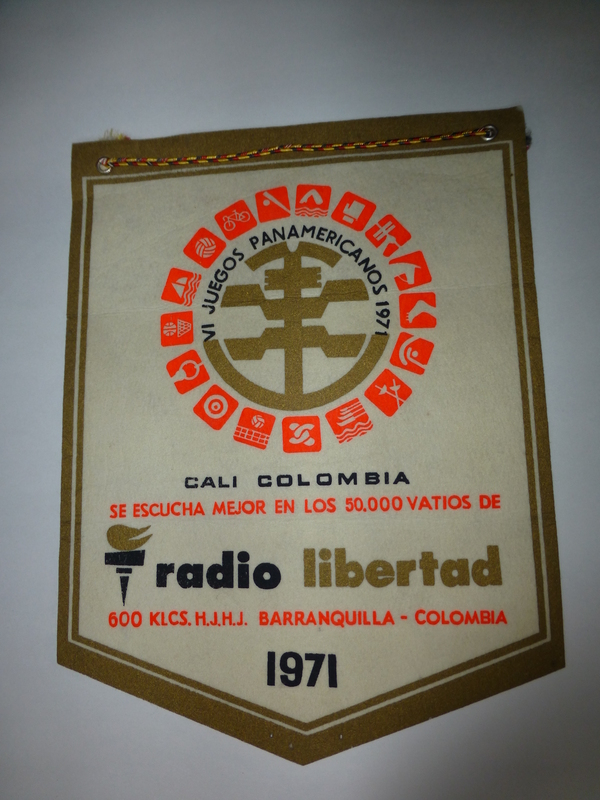 Nostalgia after all – as Ole Forr so kindly commented. 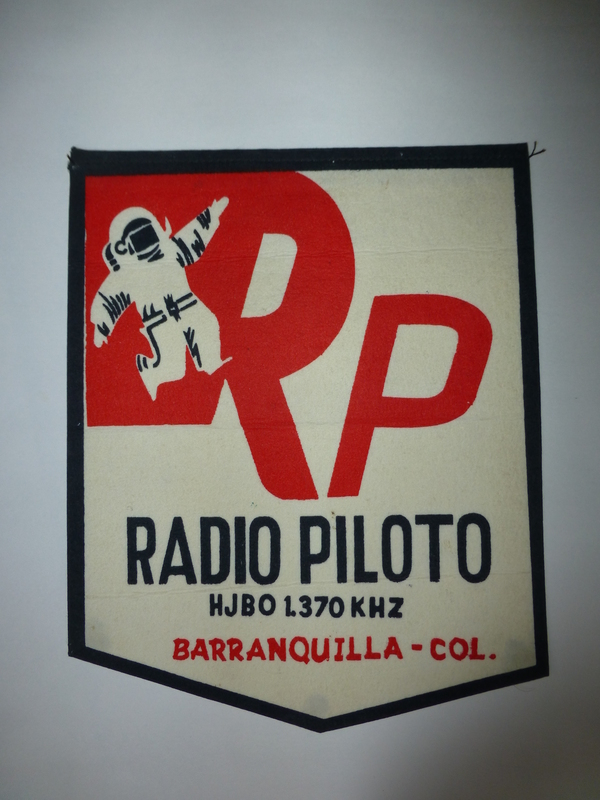 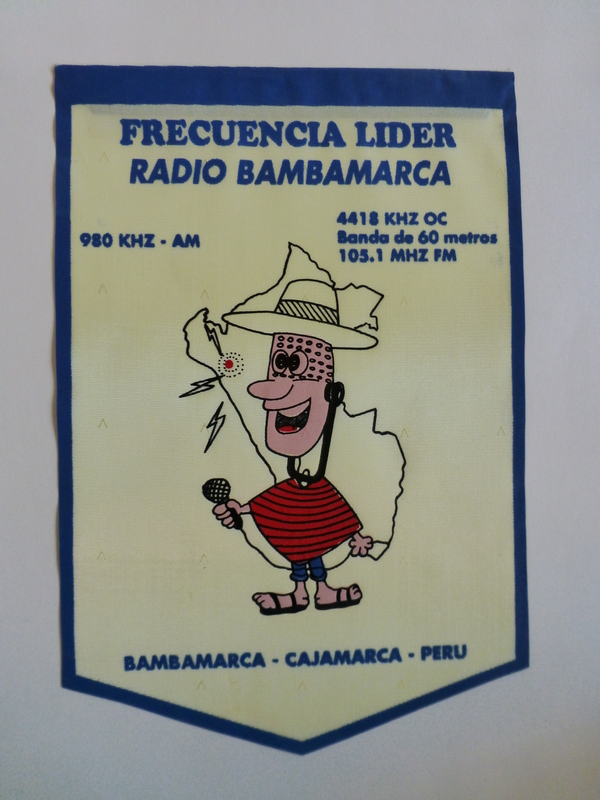 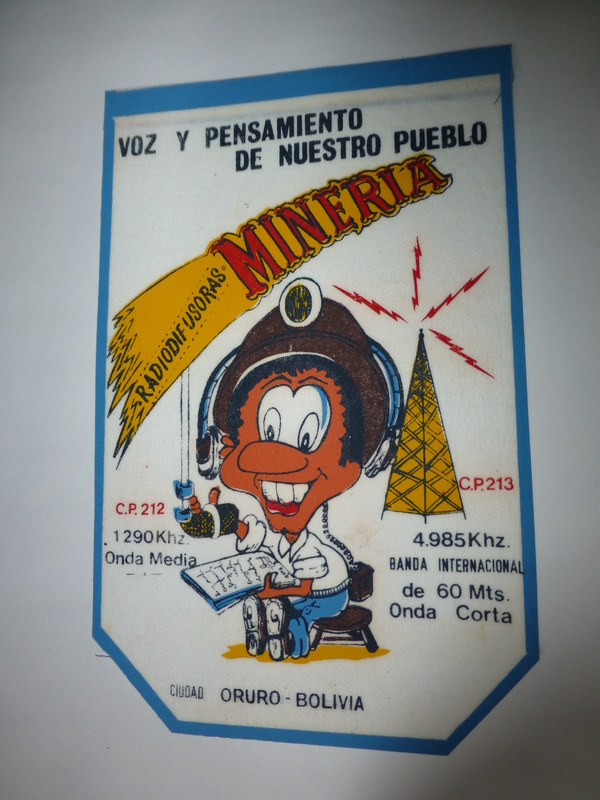 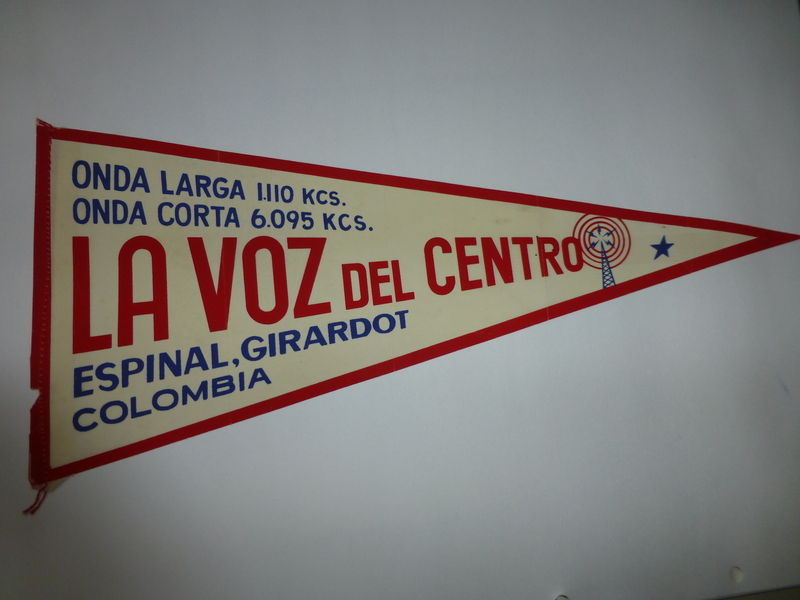 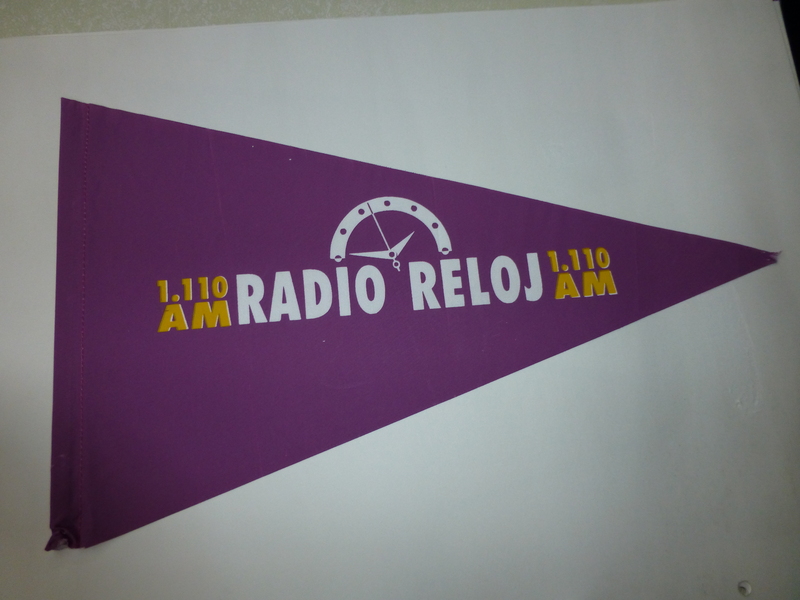 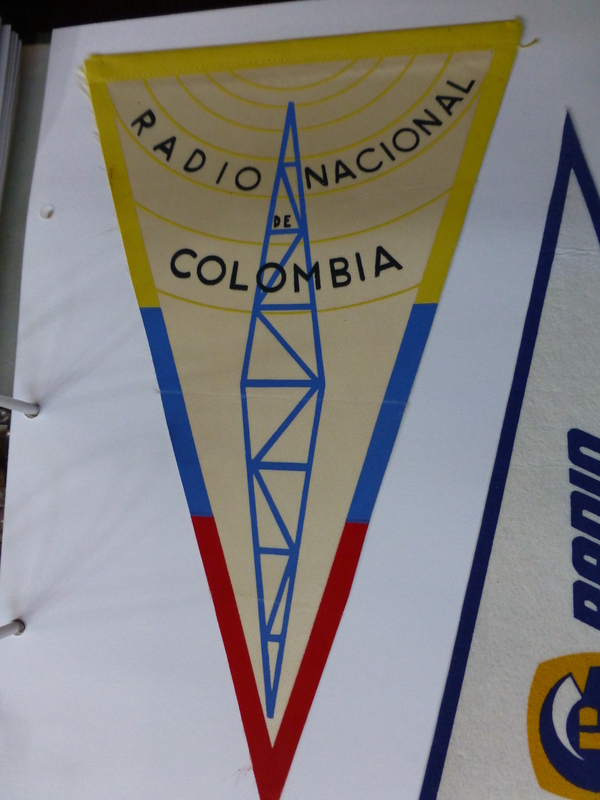 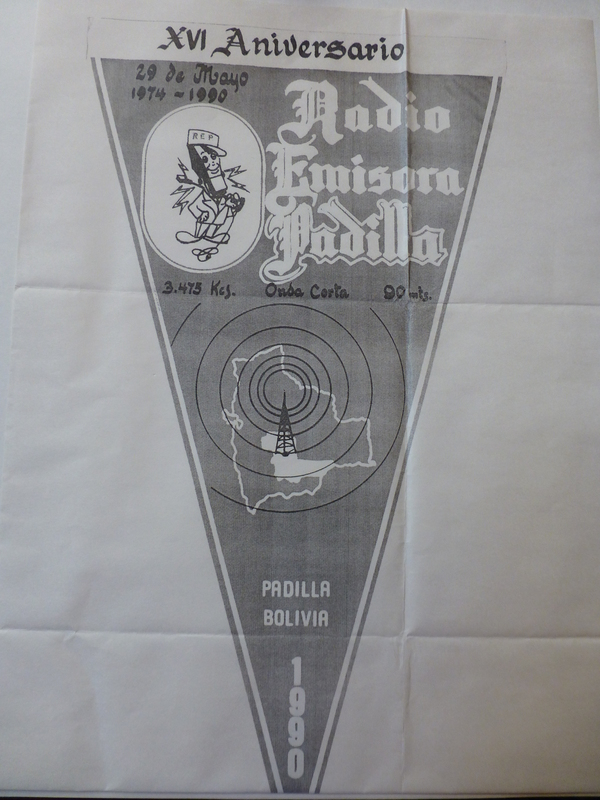 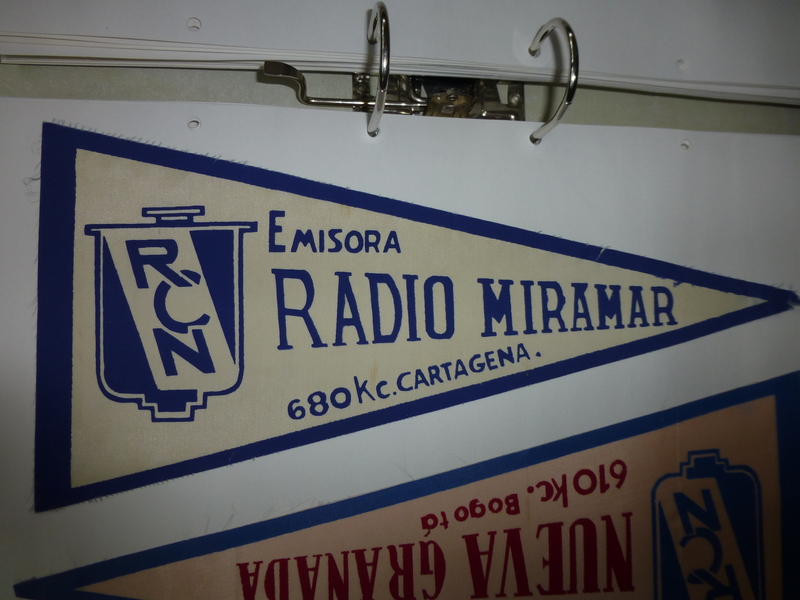 Pennants from the following colombian radiostations are presented: Emisora Atlántico 1070; La Voz de la Patria 1310; La Voz de Cartagena 1270; La Voz del Centro 6095; Radio Miramar de Cartagena 680; Emisora Nueva Granada 6160; R Piloto 1370; La Vos de los Centauros 5990; La Voz del Pueblo 5995; R Santa Fe 4965; R Villaviecencio 1290&4885; R Tequendama 770; R Bucaramanga 4845; R Reloj Cali 1110; Transmisora Caldas 5020; R Colosal 4945; La Voz del Huila ; R Dif Nacional 6180; Super R 4875; R Guatapurí 4915; R Libertad 600. 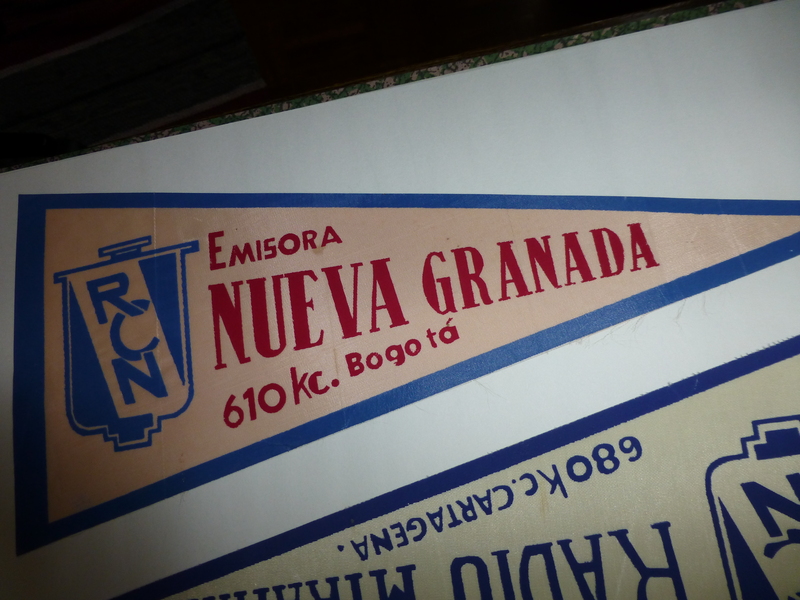 Golden were the days when the stations carried theri old exotic names and not e.g. 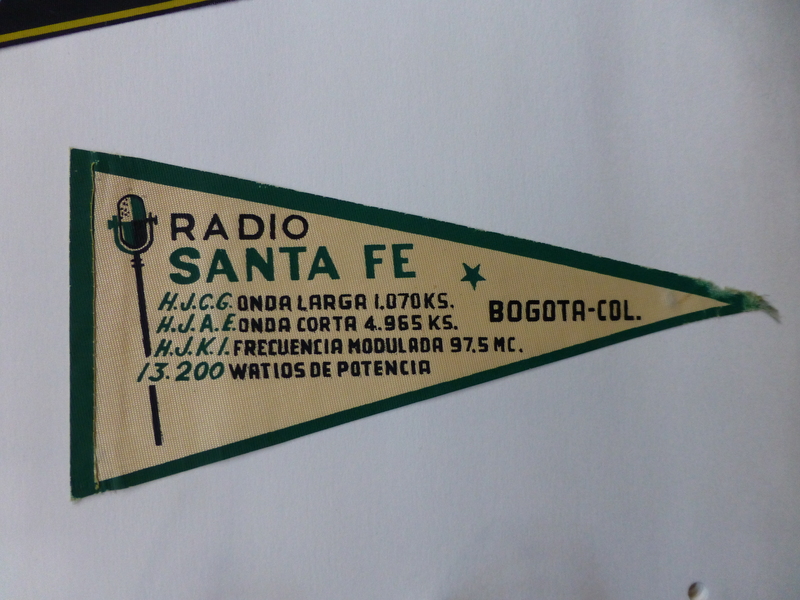 RCN Cali; RCN Medellín; Oxigeno Tunja; etc etc. 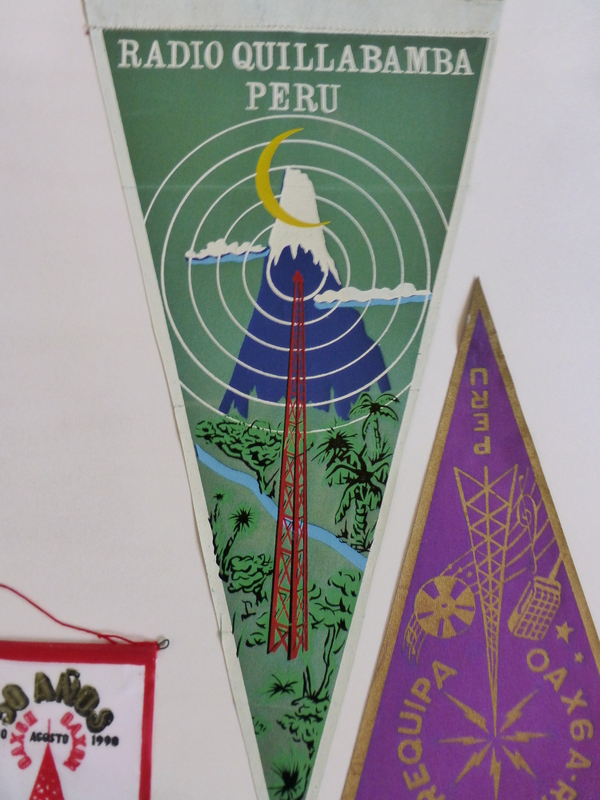 Below some pennants from Bolivia from my collection. 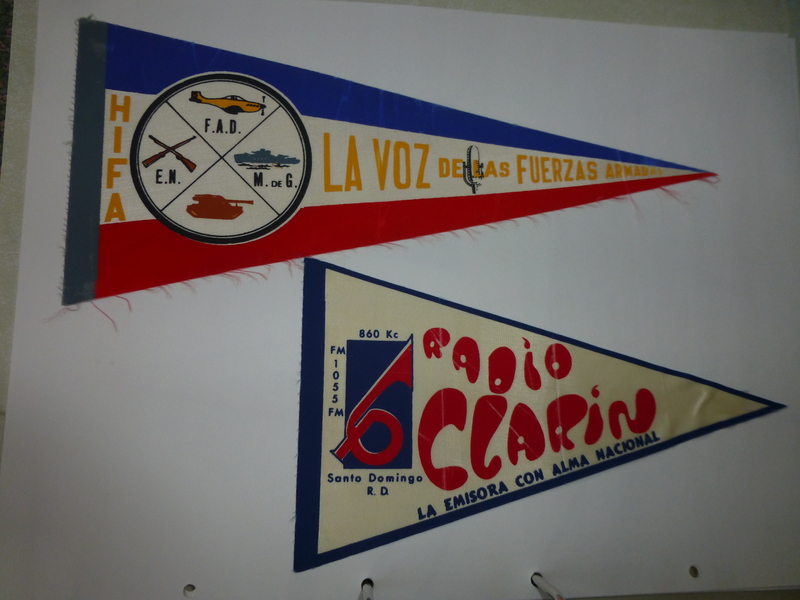 The pennants come from; R Libertad 5045; R Emisora 9 de Abril 3200; R Nacional Huanuni 5965; R Onkoi 4808; R Fides 4845; R Integracion 6125; R Difusoras Minería 4975; R El Mundo 1050; R TV Popular 6195; R Caranavi 1550; R Bermejo 1590 and R Emisora Padilla 3475. 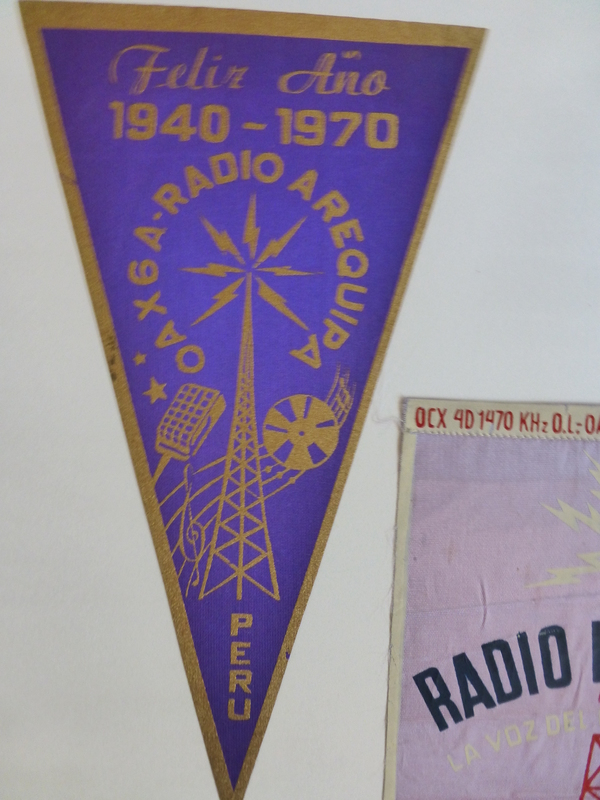 Note the ARC (Arctic Radio Clube) logo (the letters ARC in the announcers hat replaced by the letters REM!) 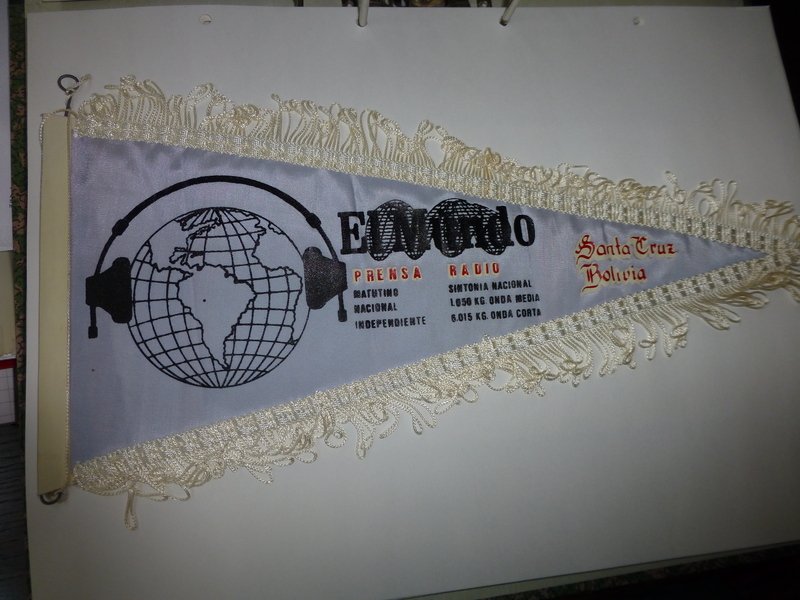 in the pennant, and also inte letter heads of Radio Emisora Padilla. 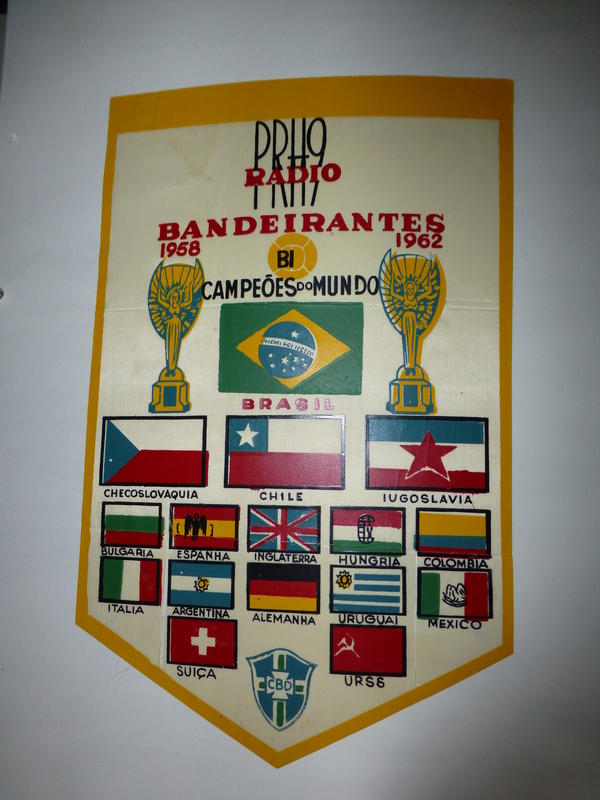 The continuing story of Latin American pennants from my collection: Brazil! 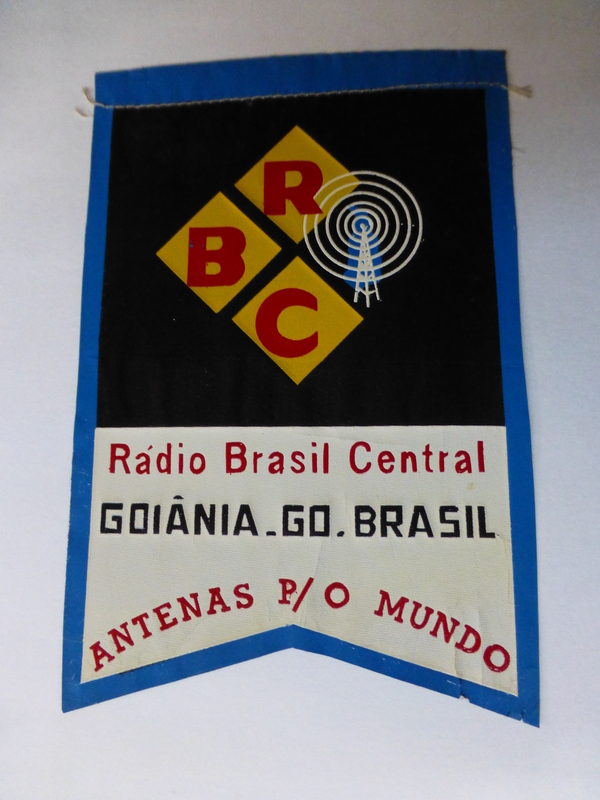 The following stations are represented; R Bandeirantes 11925; R Inconfidencia 6010; R Alvorada de Londrina 3335; R Anhanguara 4915; R Guarujá 5980; R Brasil Central 4995; R Tamandaré 3265; R Difusora de Teresina 4845; R Difusora Taubaté 4855; R Uirapurú de Fortaleza 1360; Emissora Rural 5025; R Liberdade de Caruarú 1470; R Industrial de Juiz de Fora 4925. 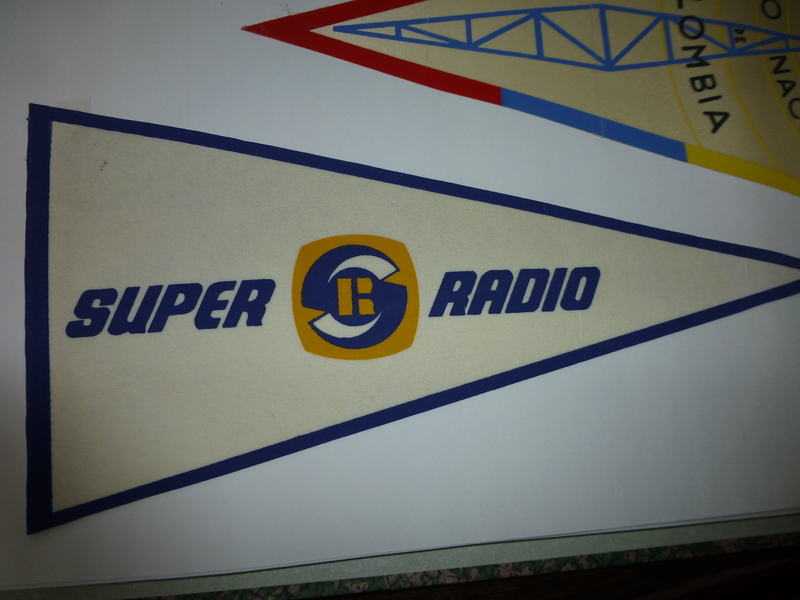 All of the below pennants received during the 60’s. 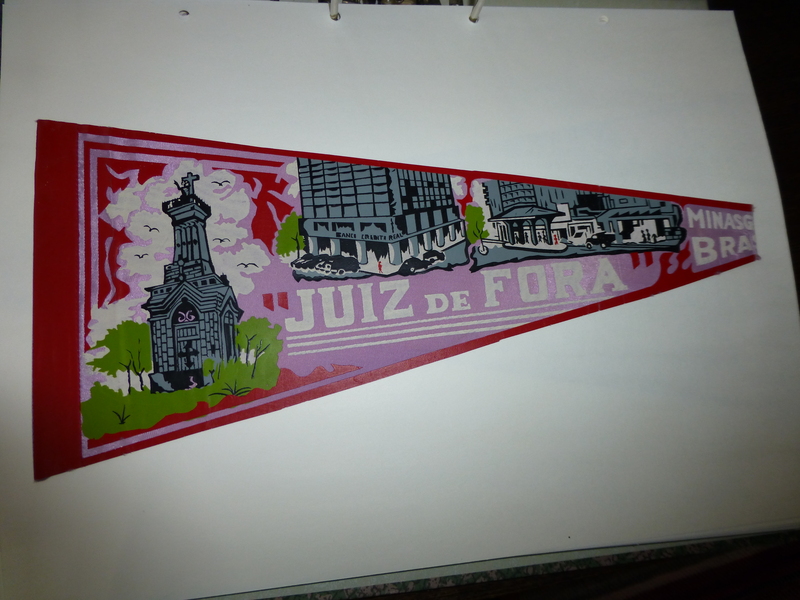 The continuing story of LA pennants will continue. 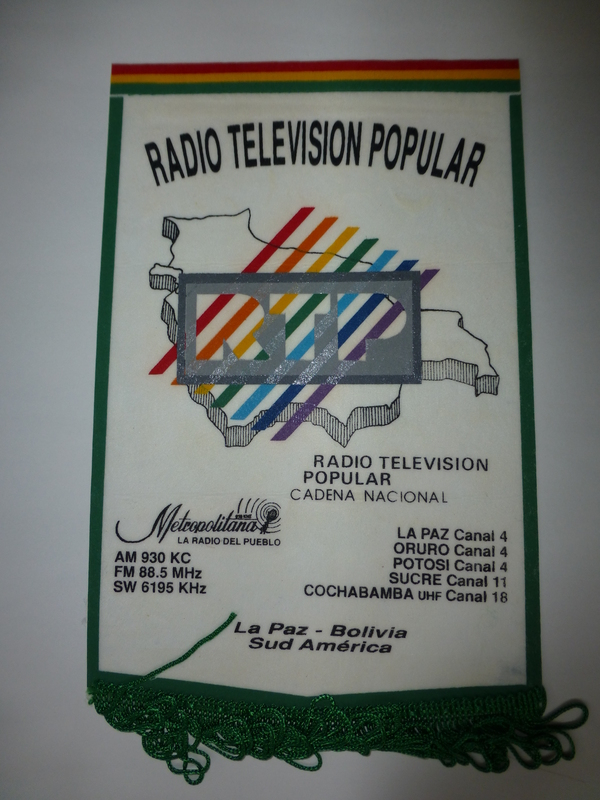 Some Central American pennants I have received from Latin American radio stations during the 60’s, 70’s, 80’s and 90’s are presented here. 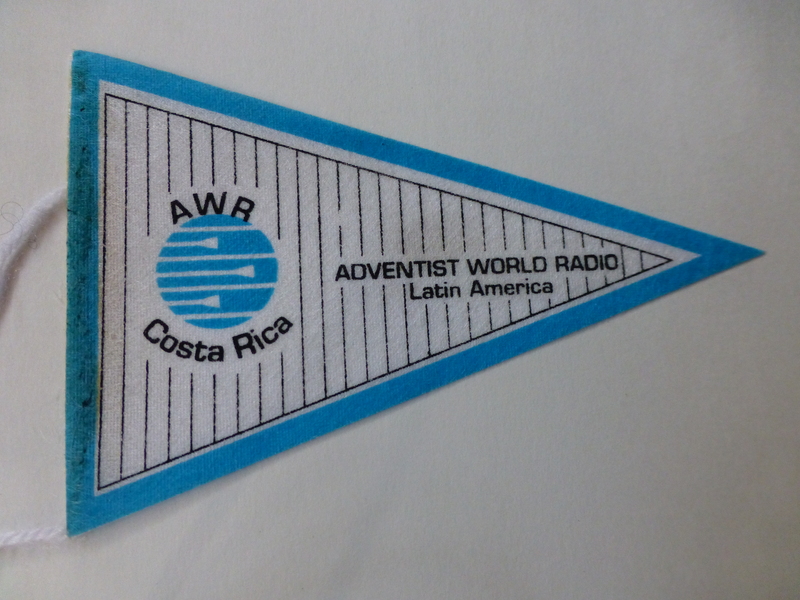 Pennants from South America will follow. 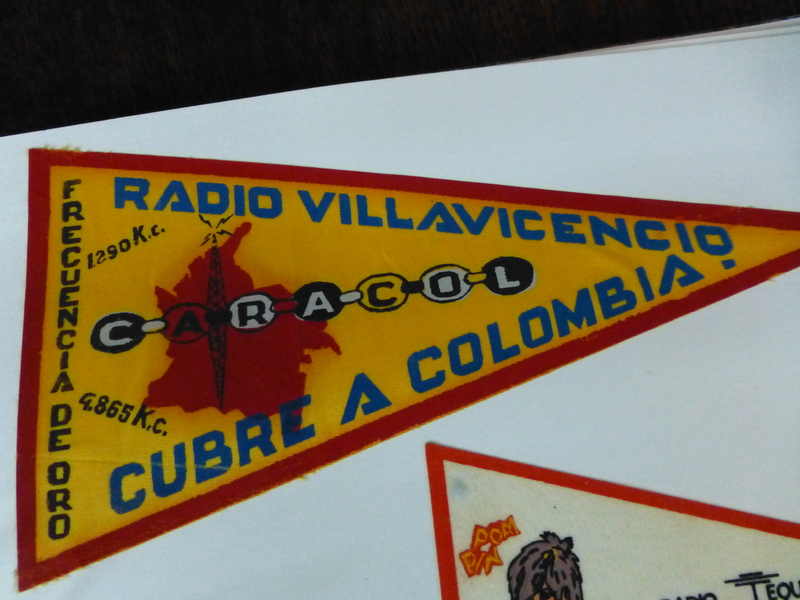 The QSL-letters received in the past by snail mail, especially if they where thick and containing a nice pennant, was one of the highlights of the past for a DXer. 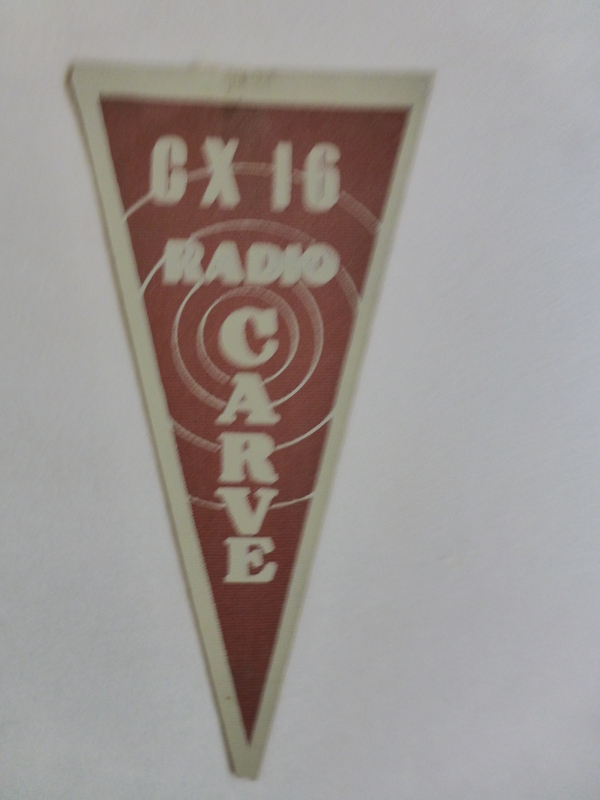 Today we can only hope that our email responses also include some logos (which of course can be downloaded from the web), and more importantly, some authentic and personal station audio recordings. 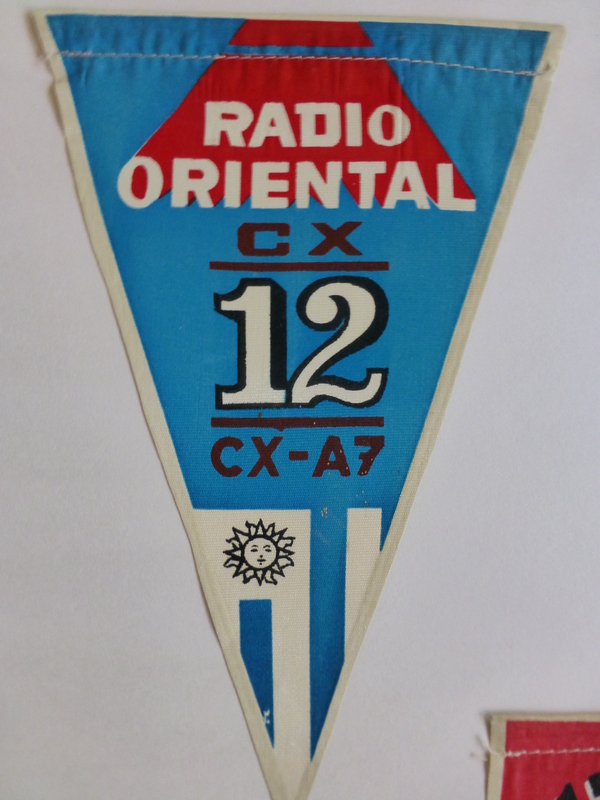 Time passes and we as DXers have to adjust to the changing world. 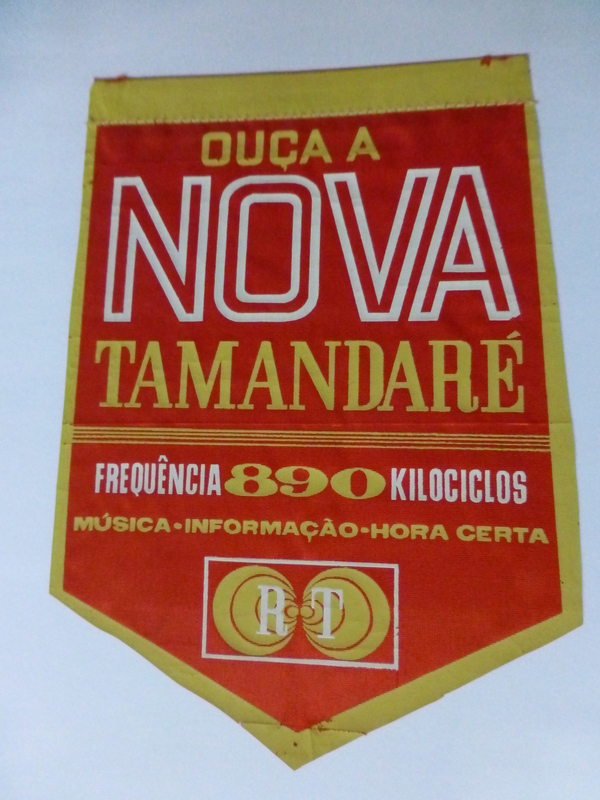 And we have done just that! 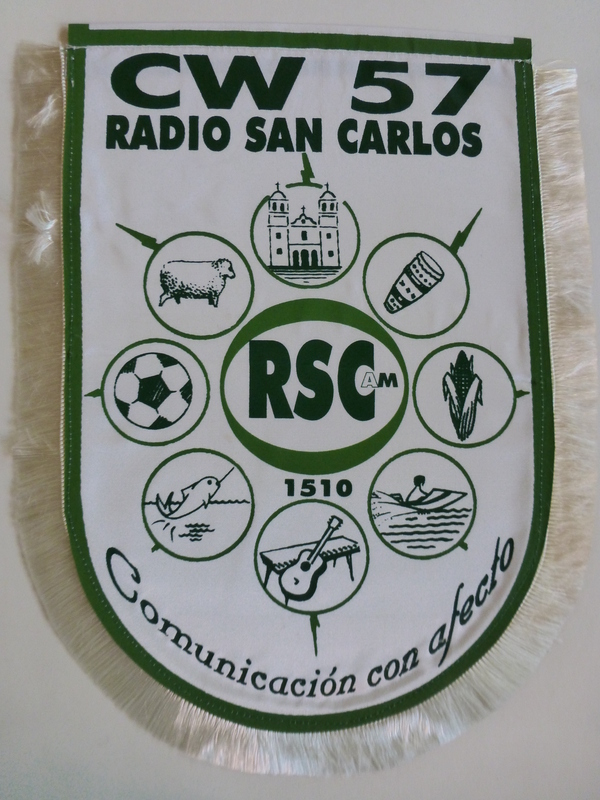 Some 10 years ago many DXers argued that QSLs received by email could not be accepted. 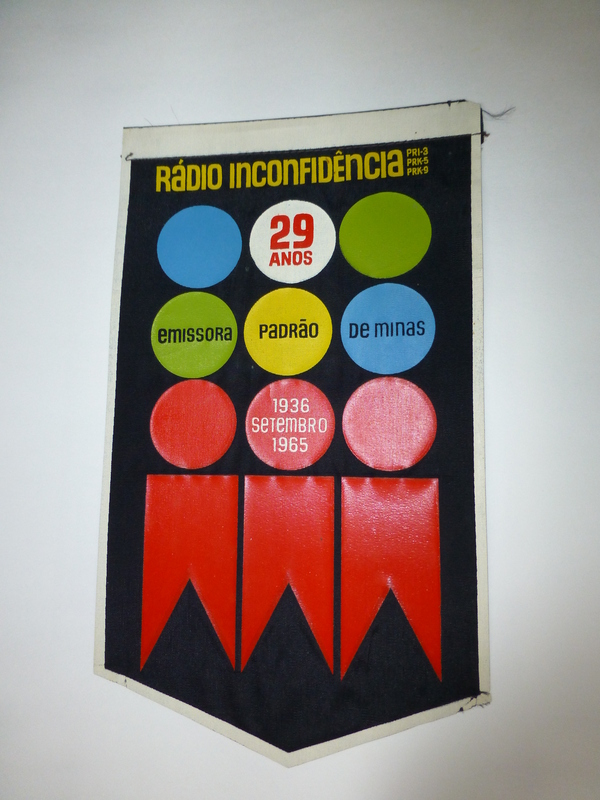 All of them, or at least 90% of them, have changed their minds. 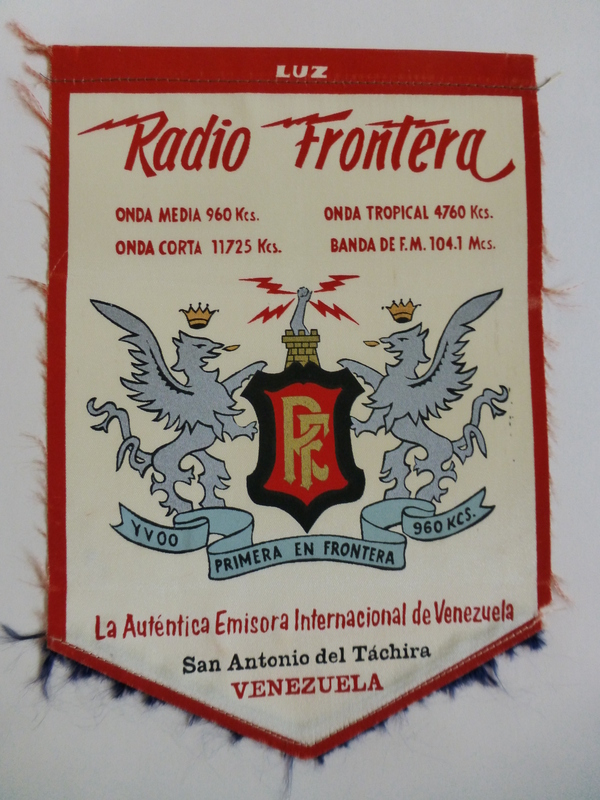 The same happened with the introduction of SDRs – many of us looked upon these equipments as not true equipments for DXing. 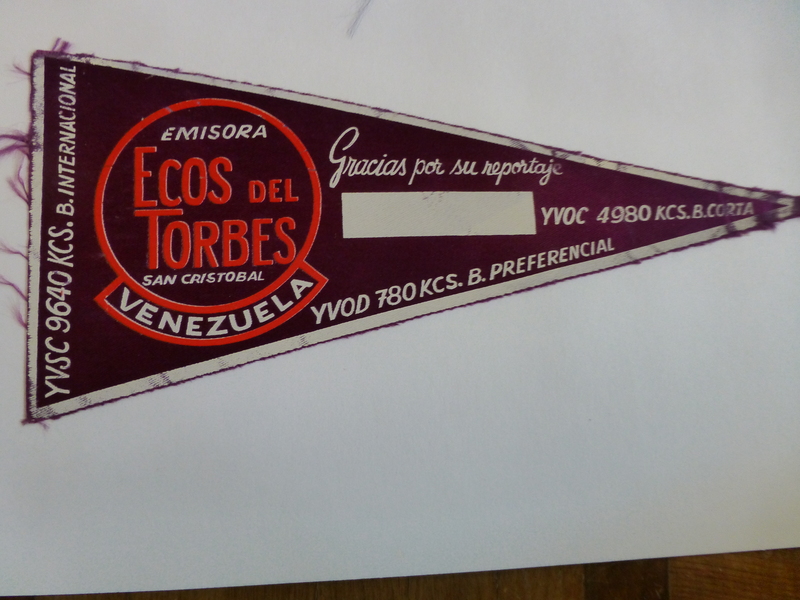 It was more or less seen as cheating! 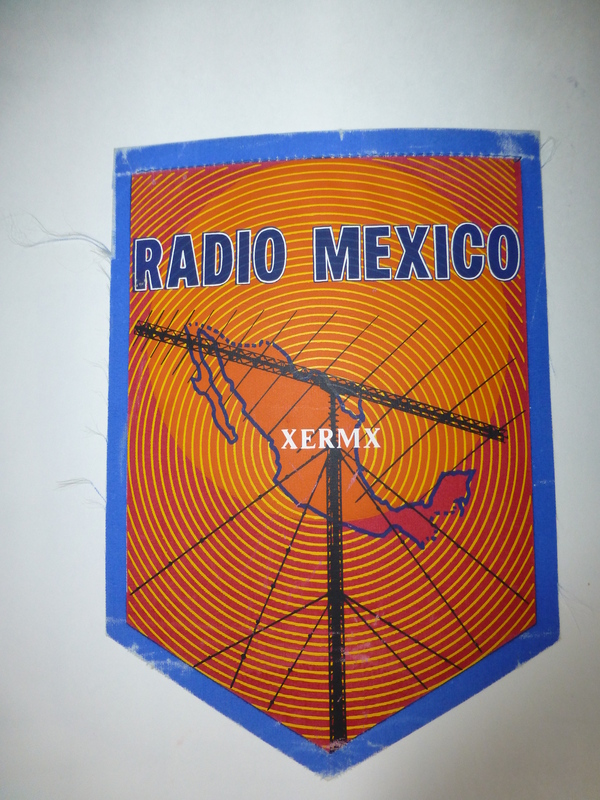 Surprisingly – or maybe not – most DXers, if not all, are nowadays equipped with SDRs in their DX endeavours! 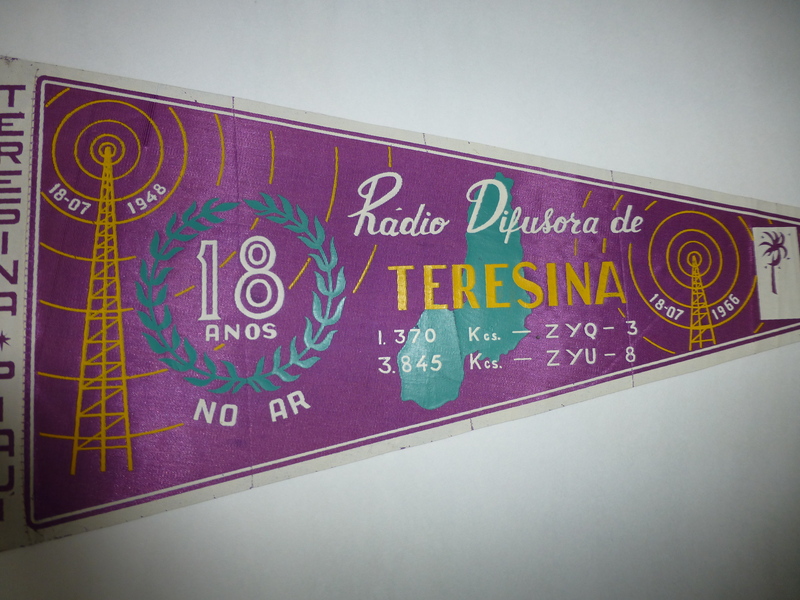 SDRs are for DXers as are the doping methods in sports….? 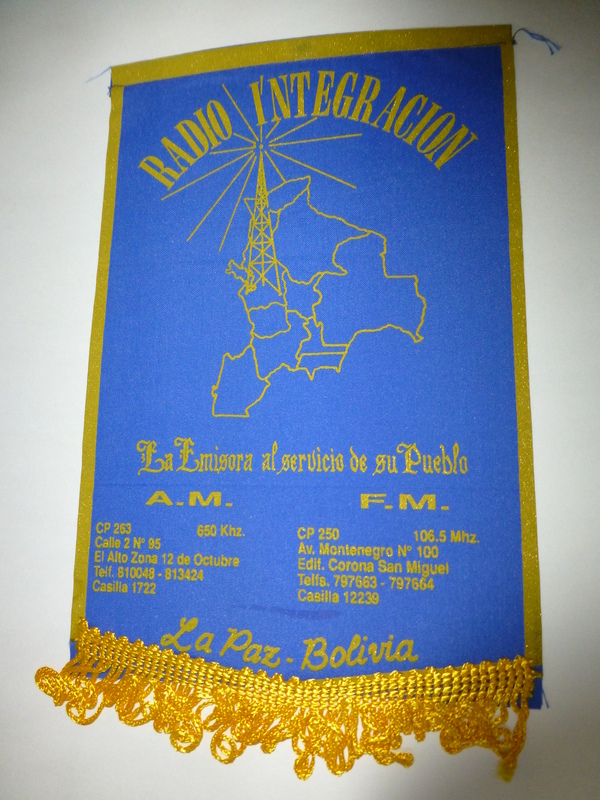 Pertti Äyräs and myself have many times discussed and memorized the situation on the AM band during the late 60’s and early 70’s during our many peditions together. 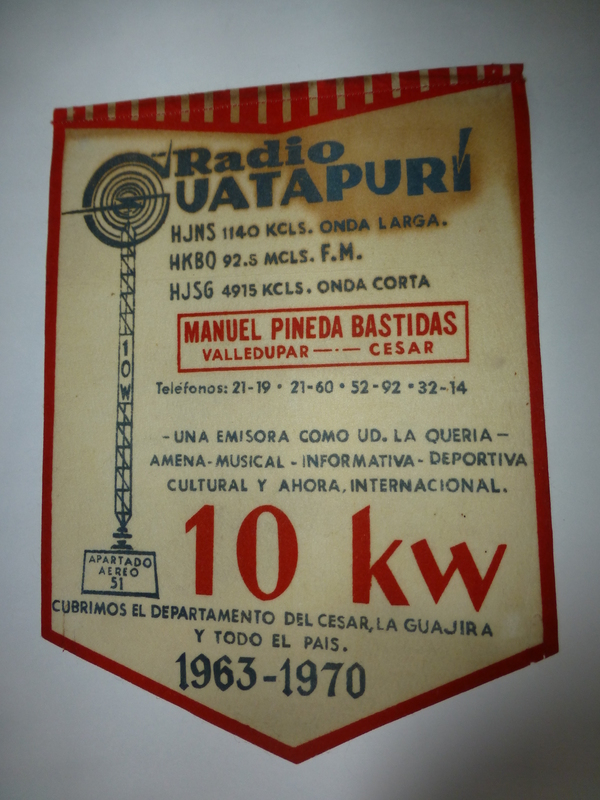 How could it be possible, e.g., to catch so many very rare Latin American stations in downtown Turku with either an indoor loop or some wires of 30-100m in lenght? 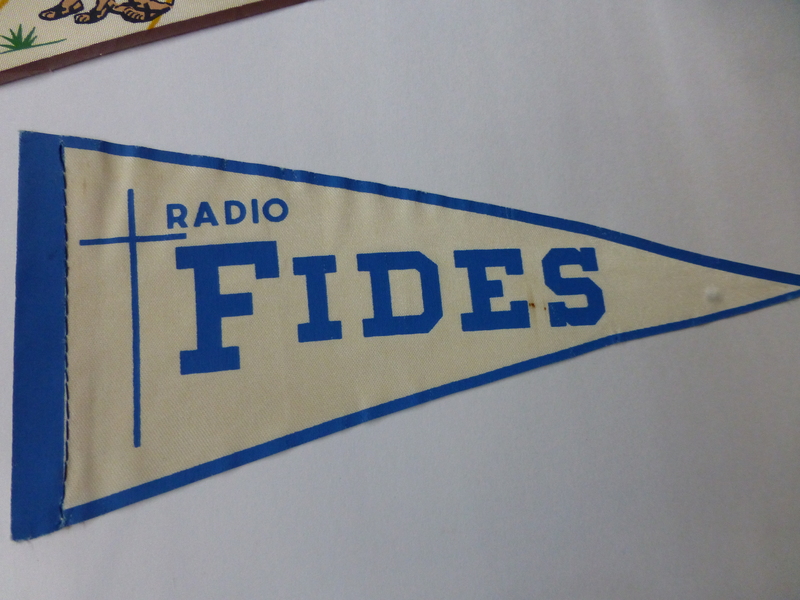 And the band was filled and clear! 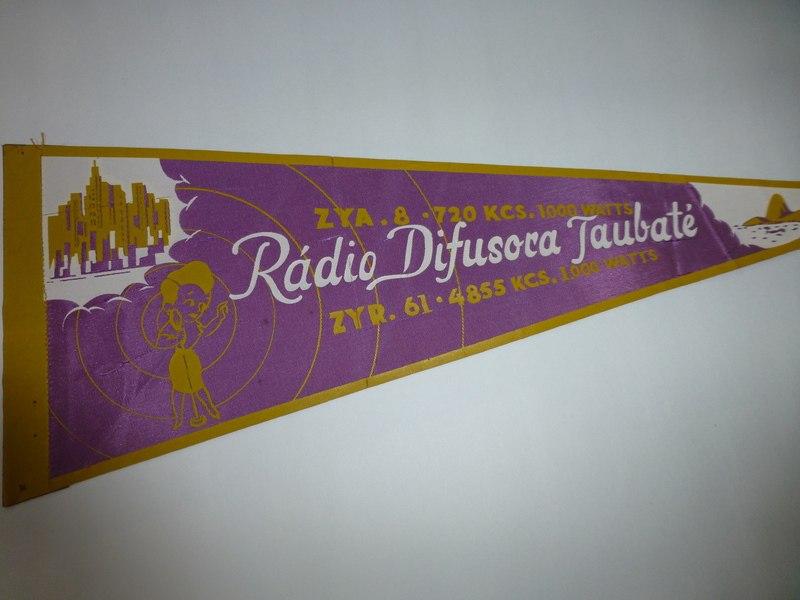 One can only imaging what the result had been if SDRs had been in place at that time with no interferences from the massive disturbances of today resulting from high density of household electronics. 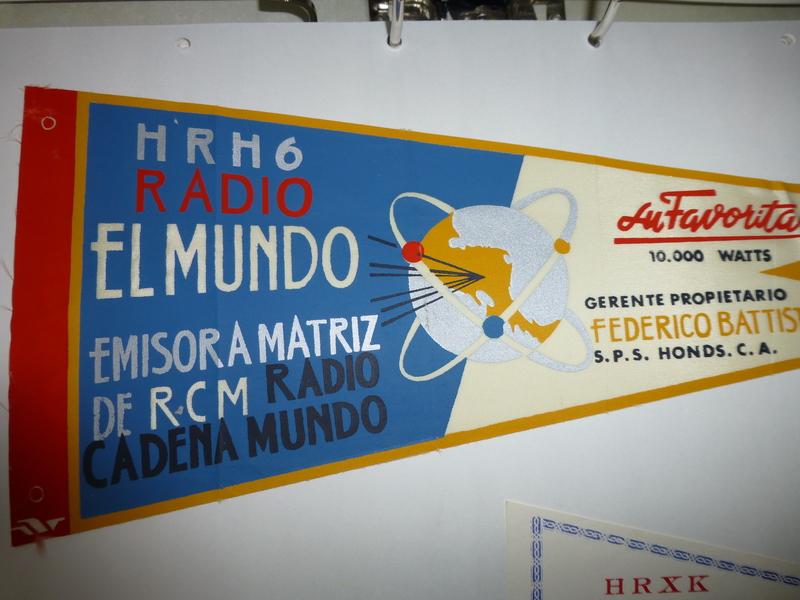 And at that time, the EU-stations had moderately week transmitters. 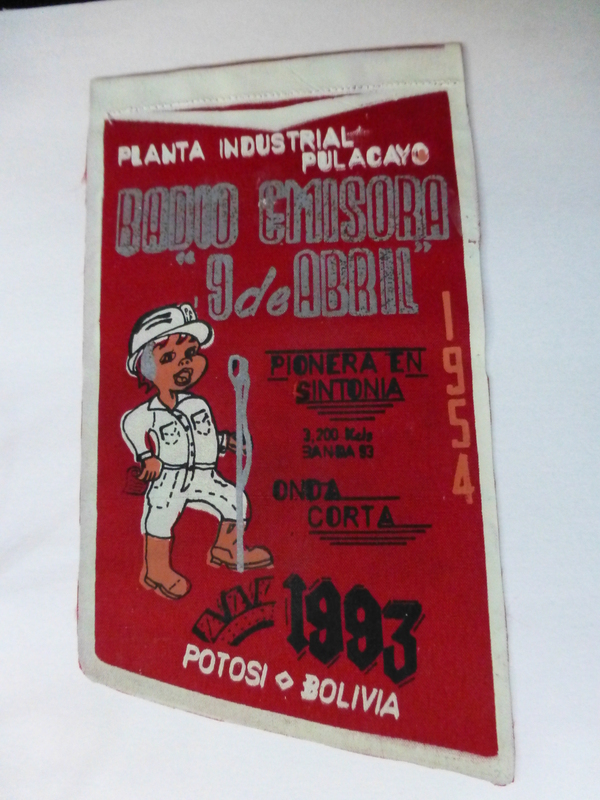 Oh those good old days!